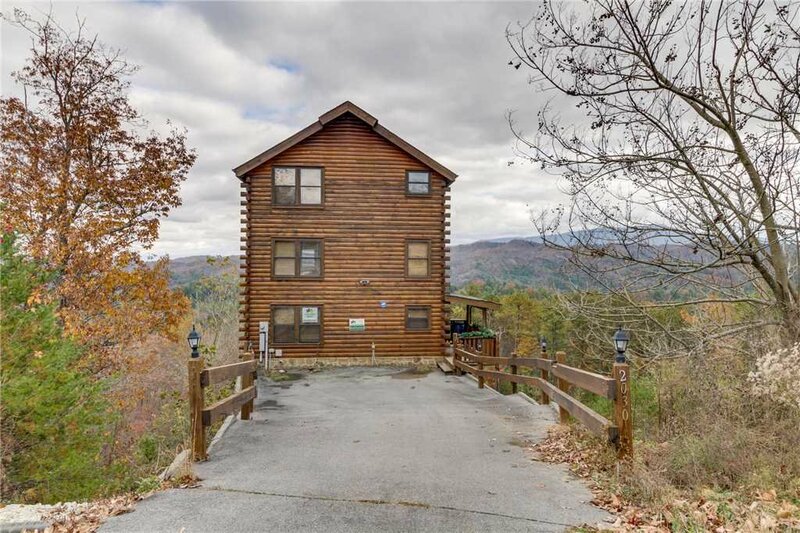 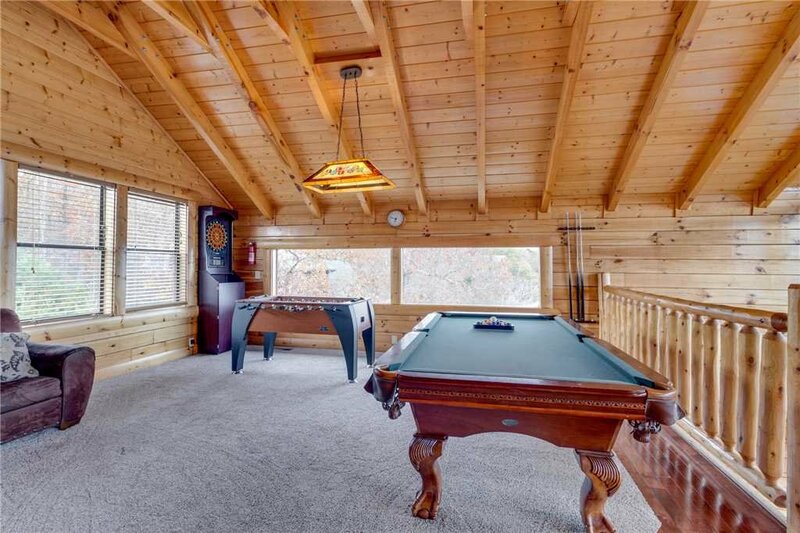 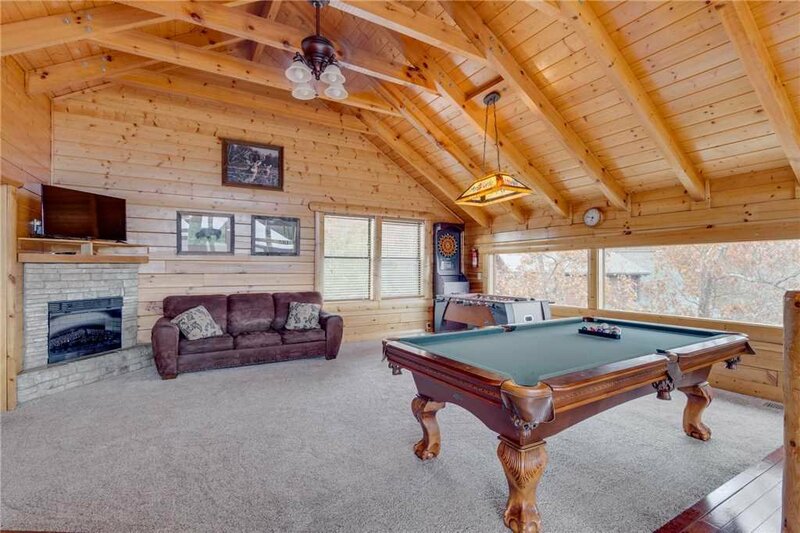 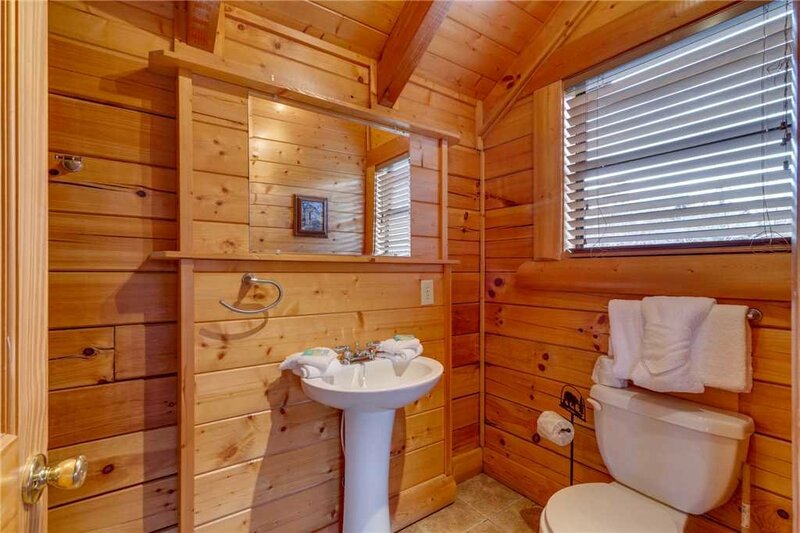 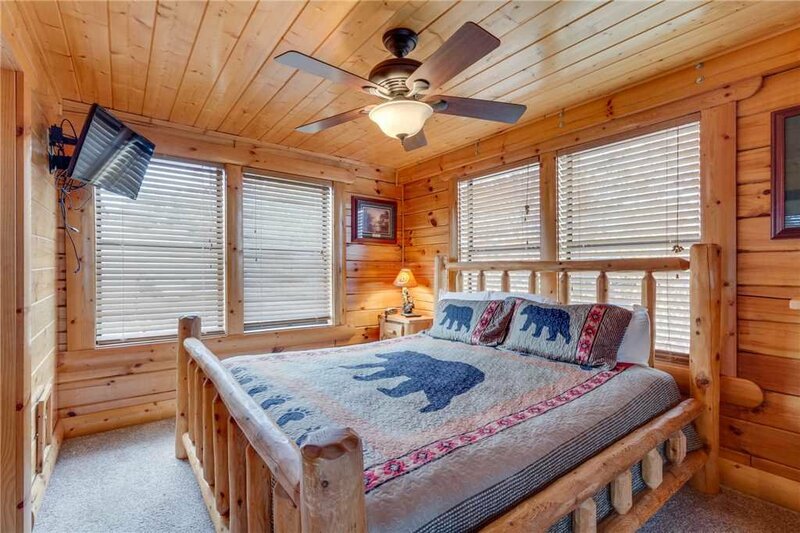 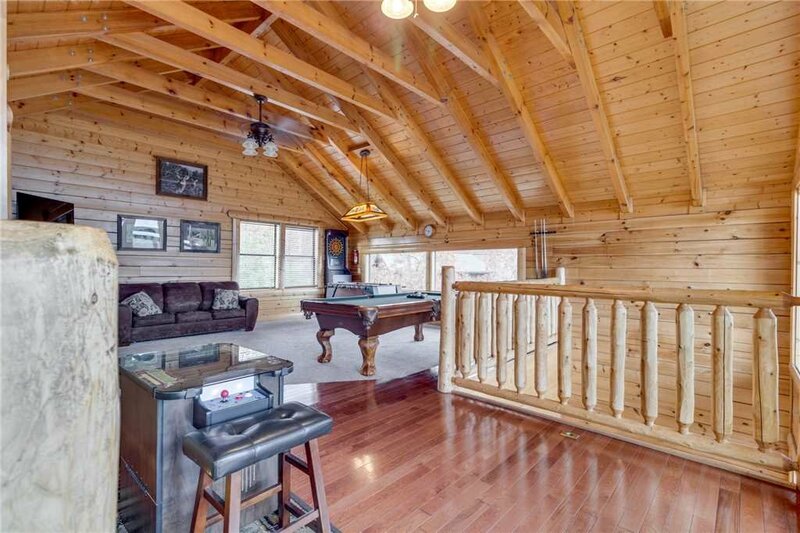 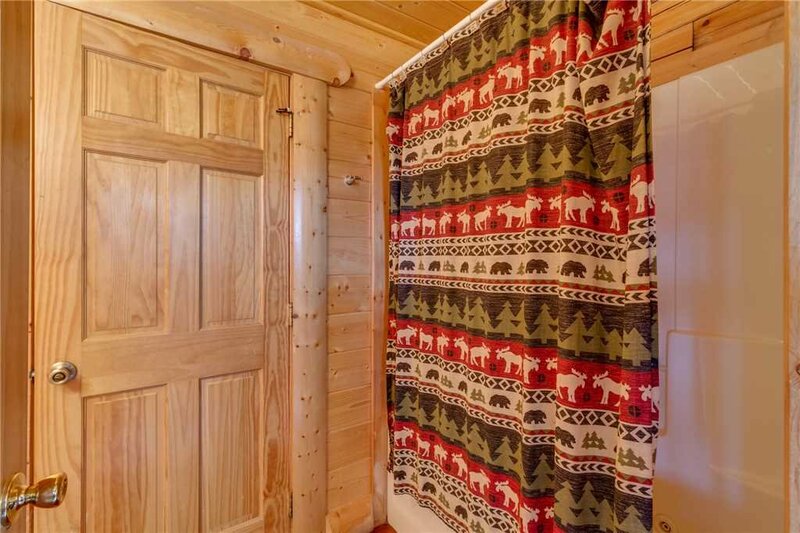 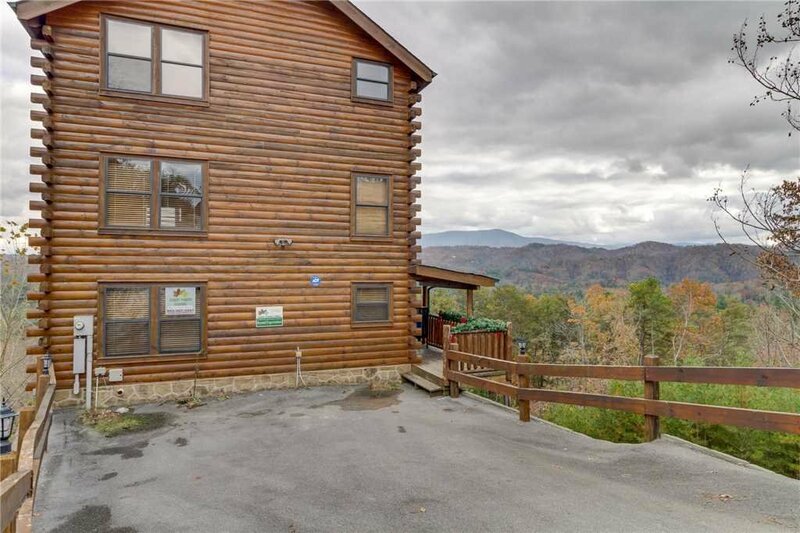 Beyond Expectations is a 3-bedroom, 3 1/2-bathrooms, entertainment filled cabin in Wears Valley minutes from the Pigeon Forge Parkway. 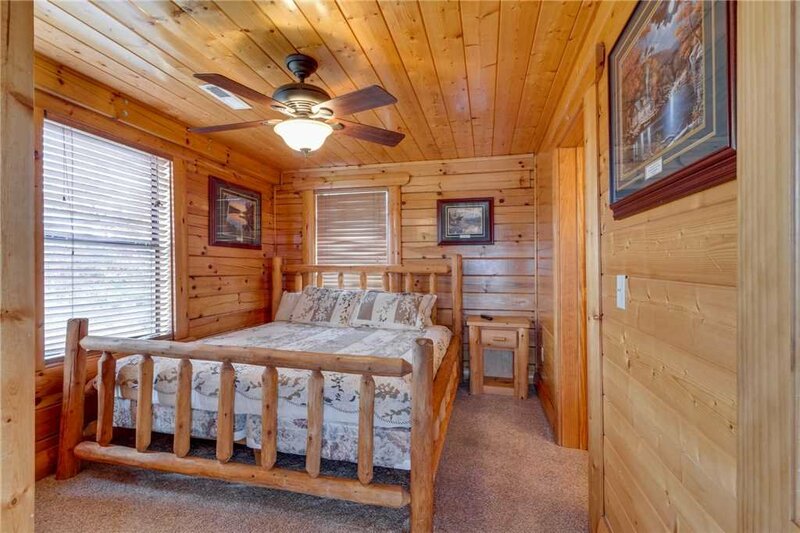 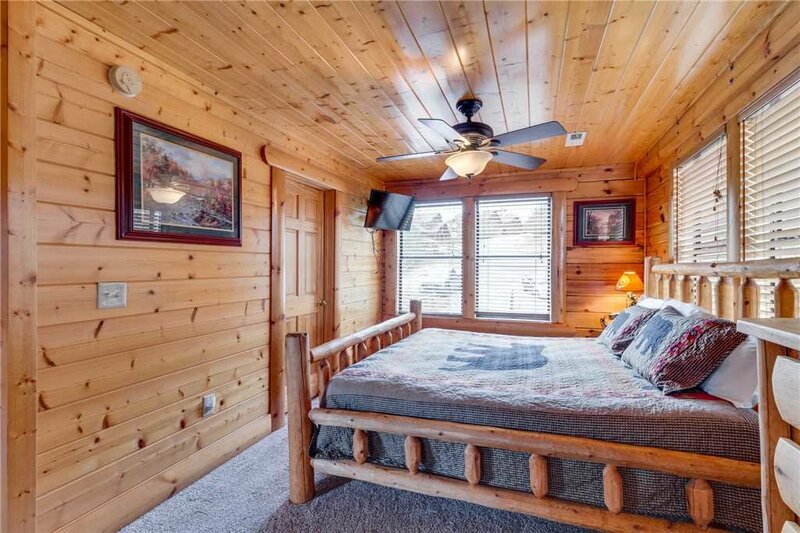 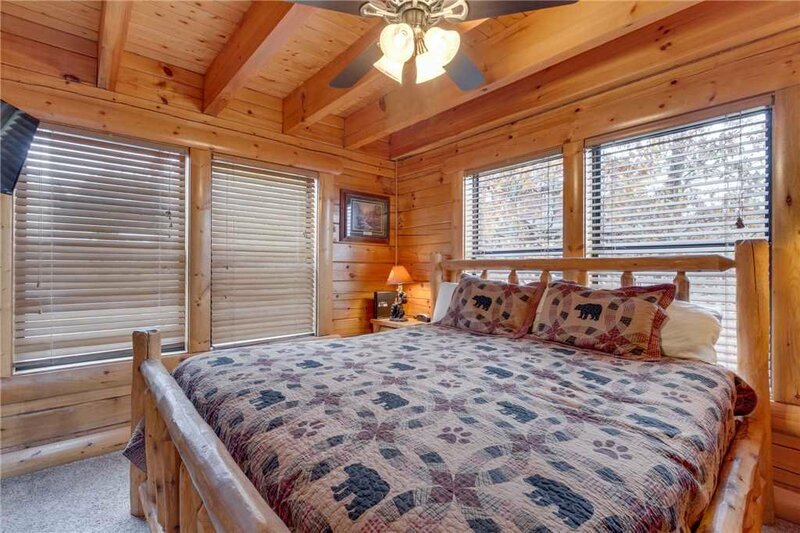 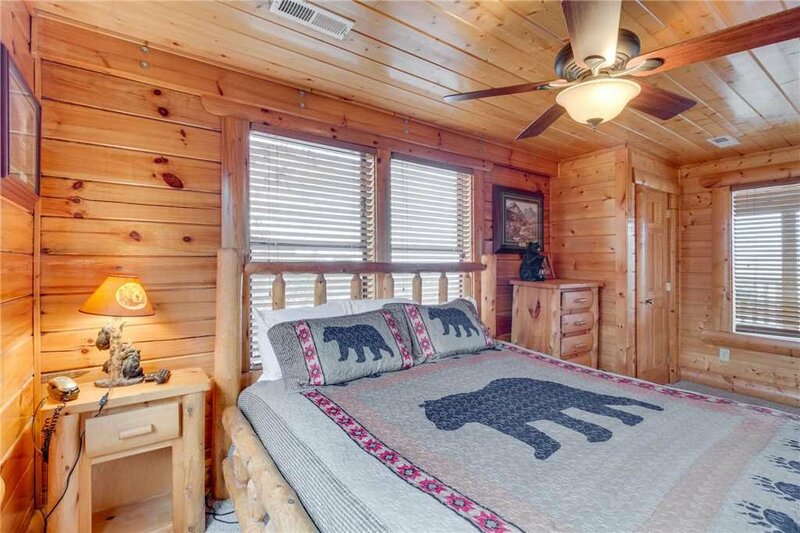 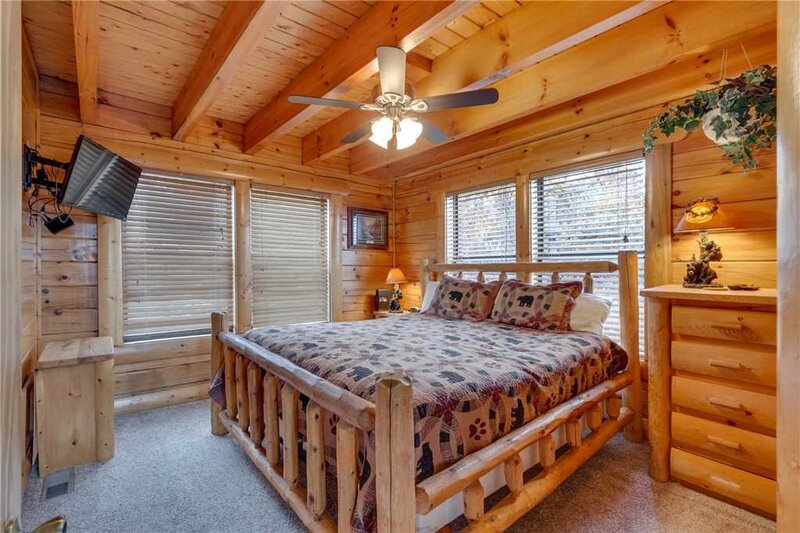 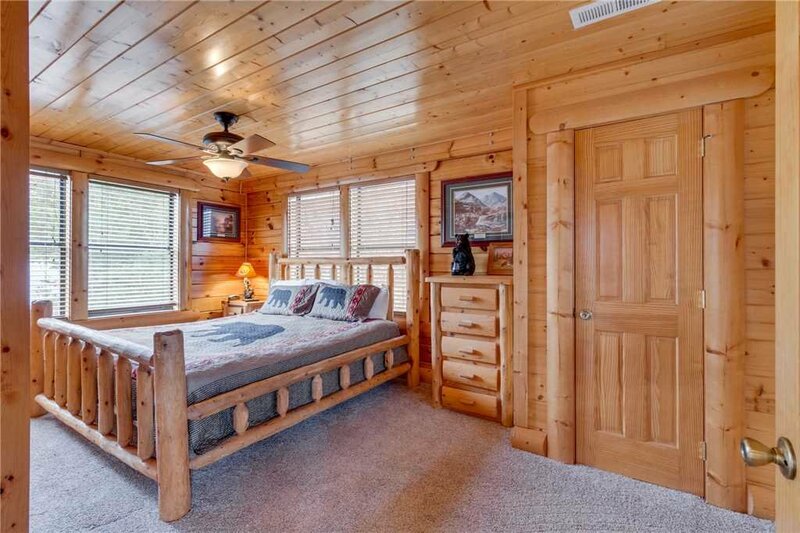 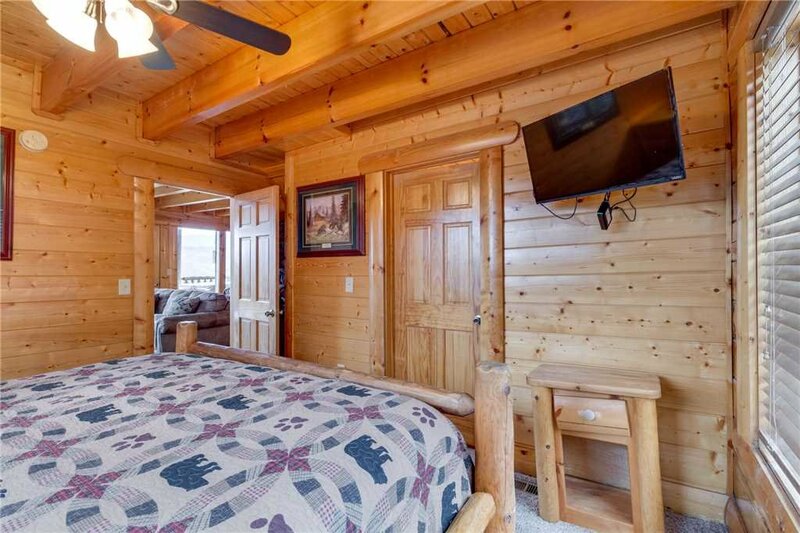 With three king-sized bedrooms featuring aspen wood furniture and 2 queen-sized sofa beds, Beyond Expectations can sleep up to 10 for a small group retreat or family getaway. 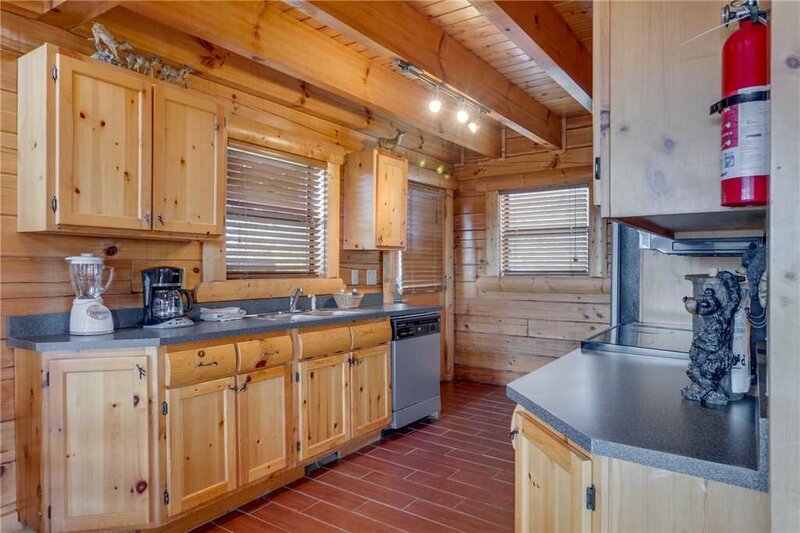 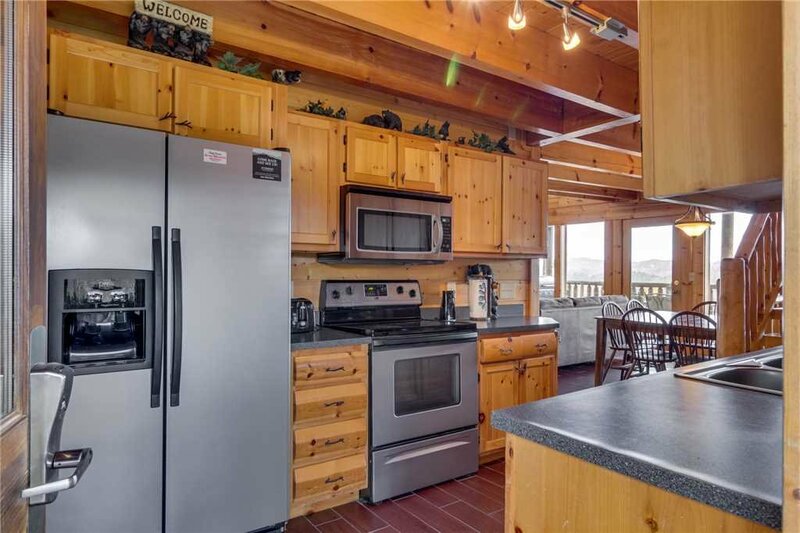 A fully-equipped kitchen updated with stainless steel appliances makes making meals a breeze. 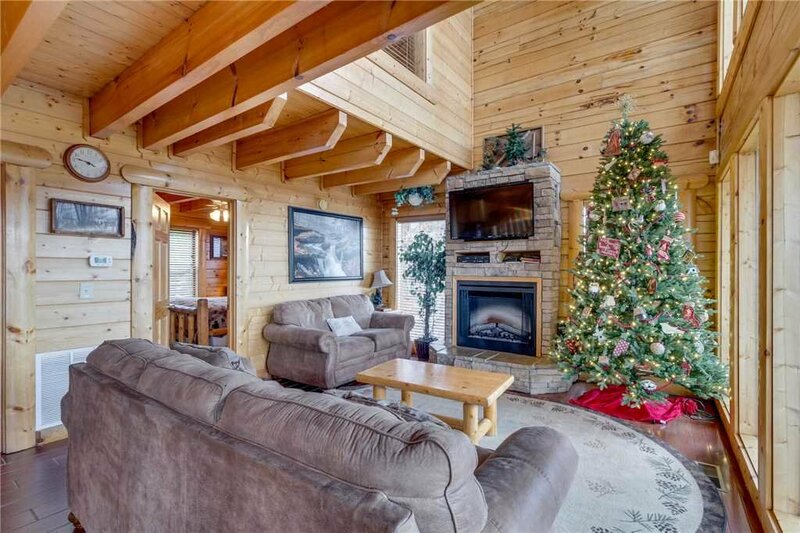 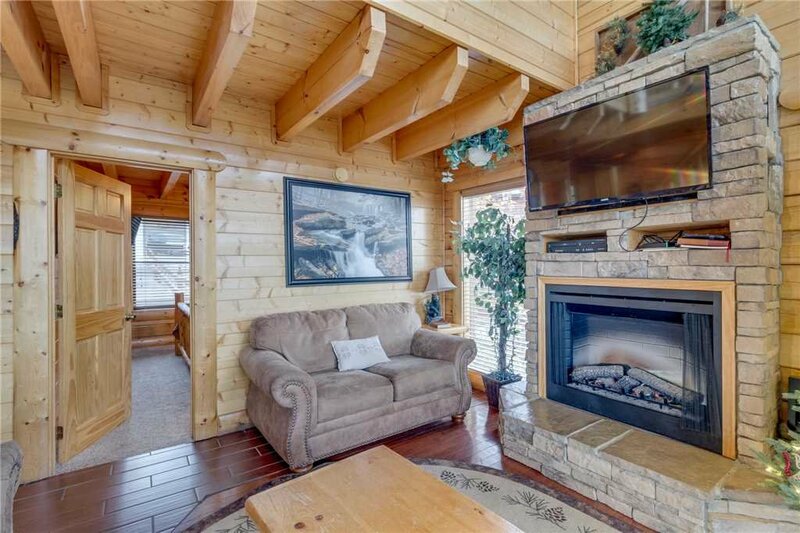 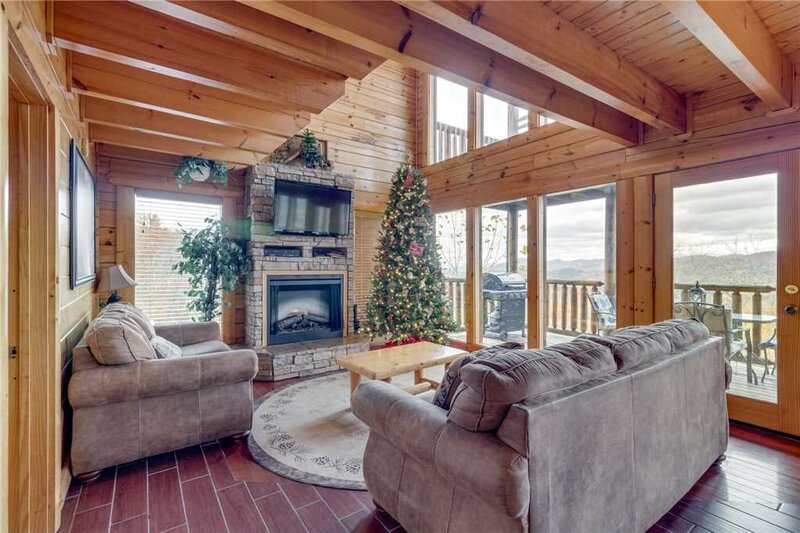 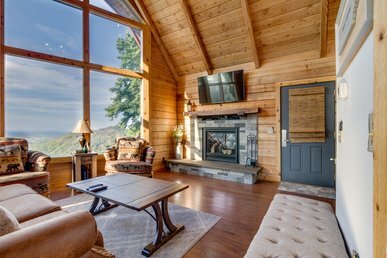 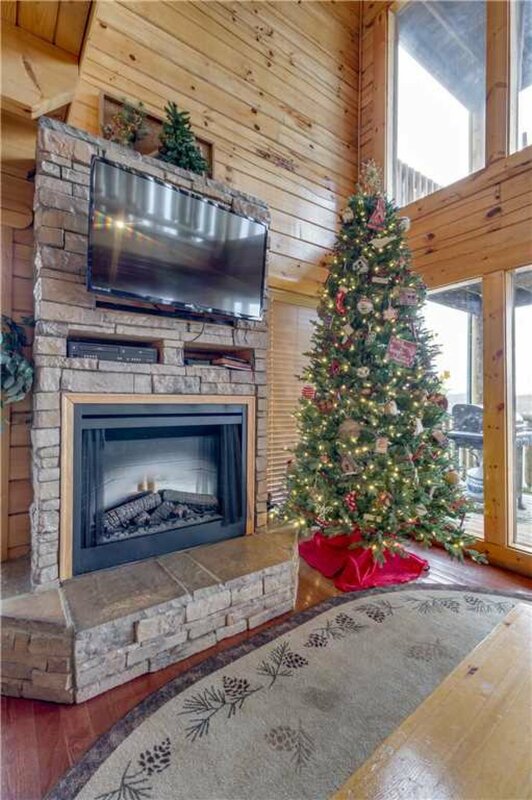 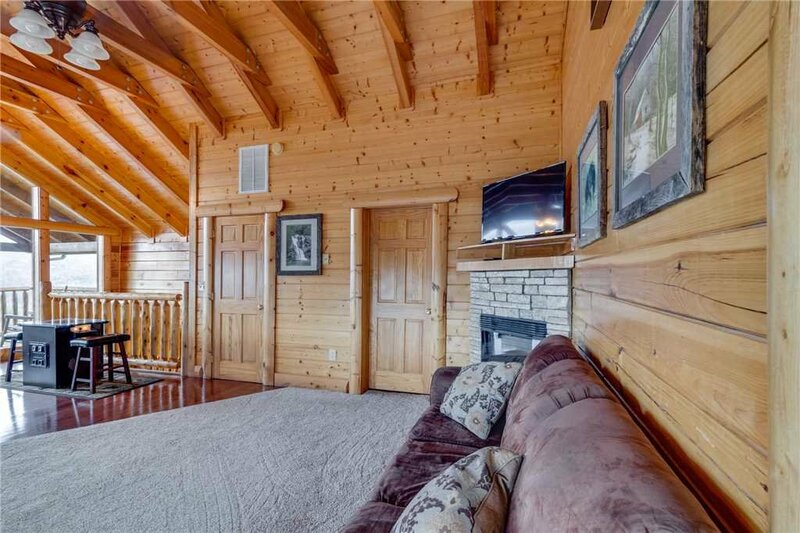 Relax with magnificent mountain views while the stone fireplace warms you from the mountain chill. 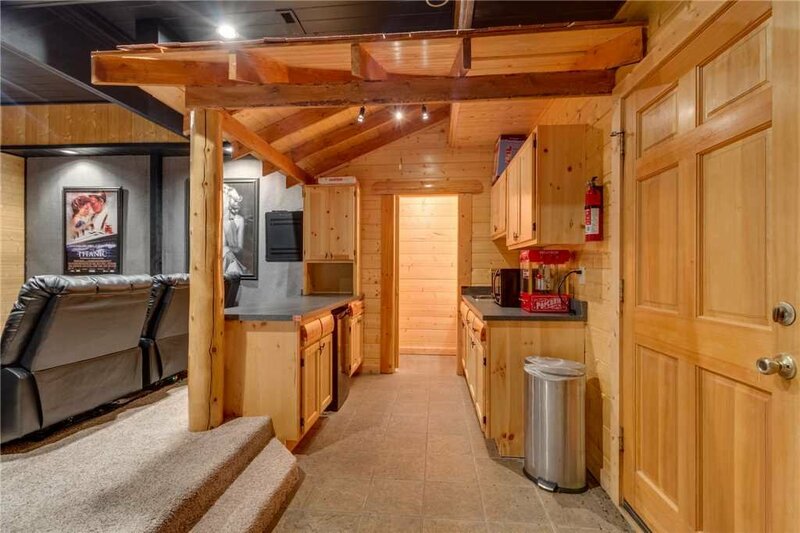 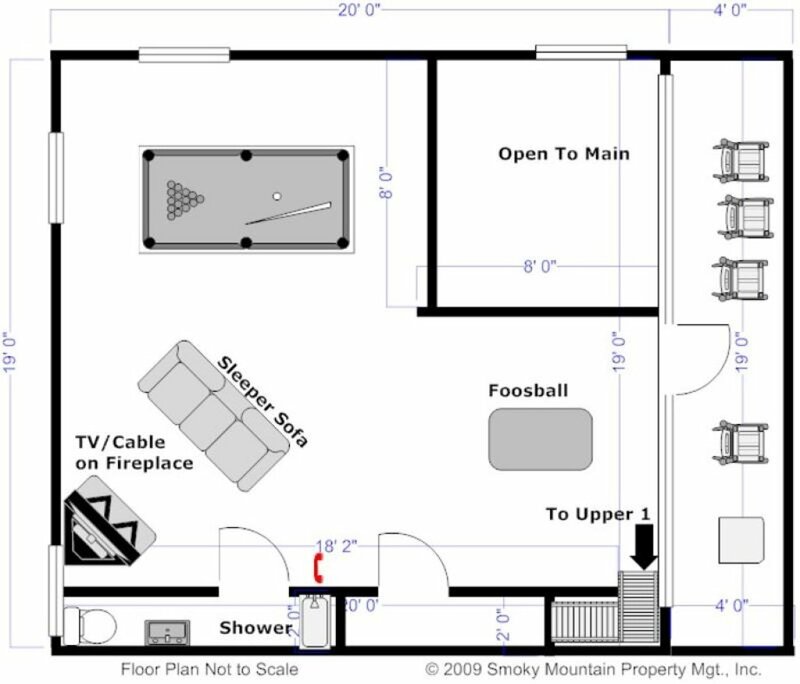 There is a den with a fireplace on the upper most loft level. 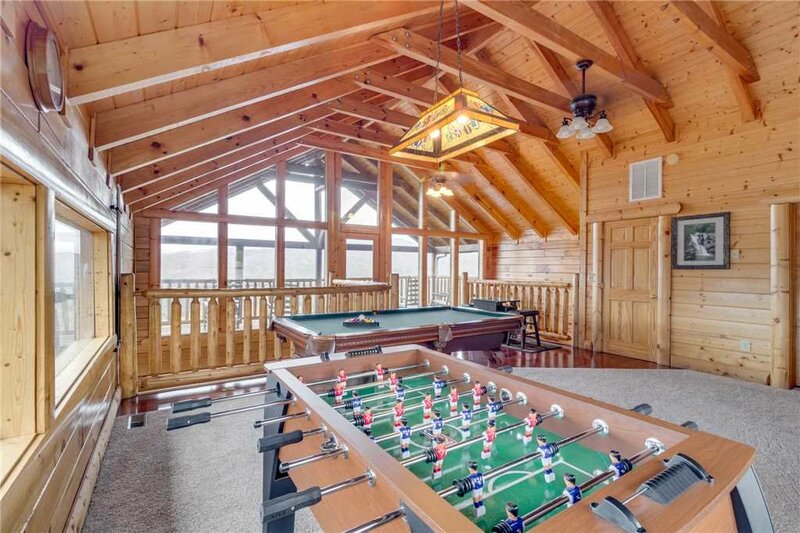 While in the game room try not to let the amazing view distract you when playing pool, one of the 60 multi-cade games, Foosball or electronic darts, it may be difficult! 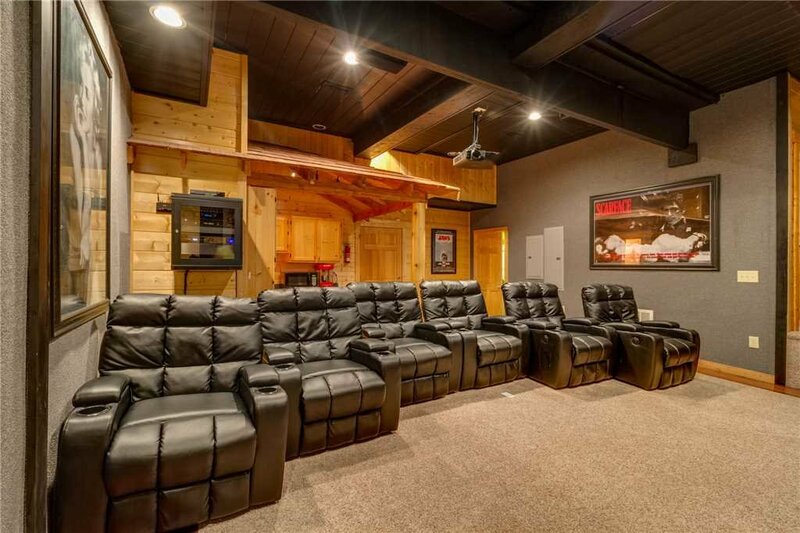 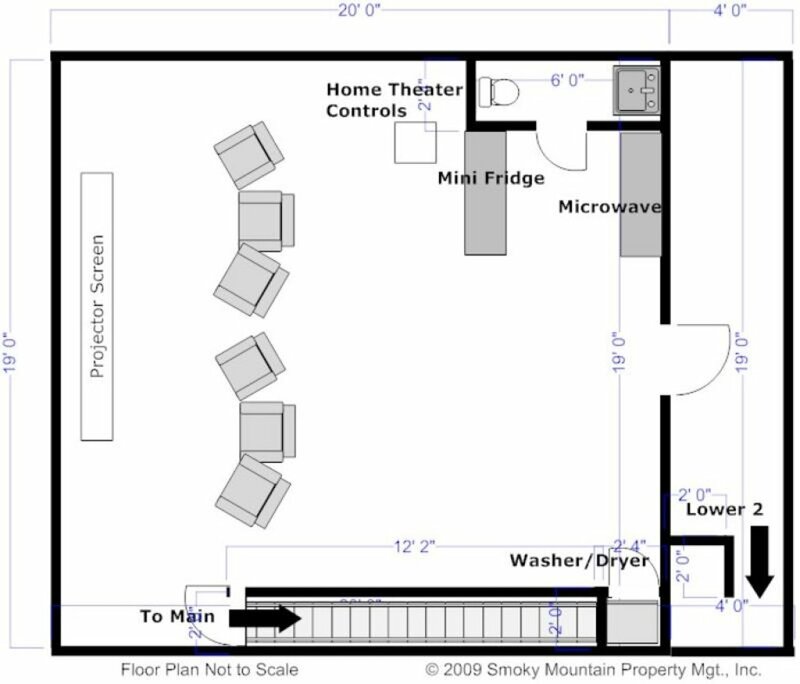 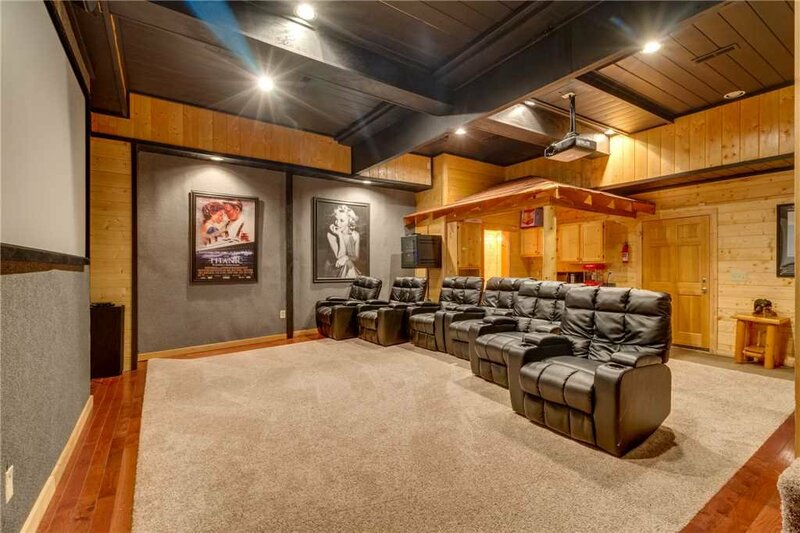 Venture downstairs to watch a Blu-ray on the 106-inch movie screen in the theater room, with power recliner seating, audio system, mini-fridge and microwave. 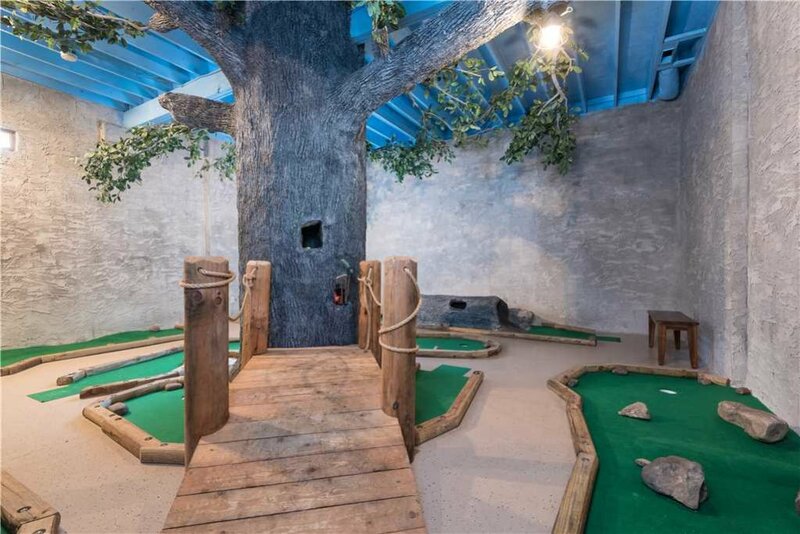 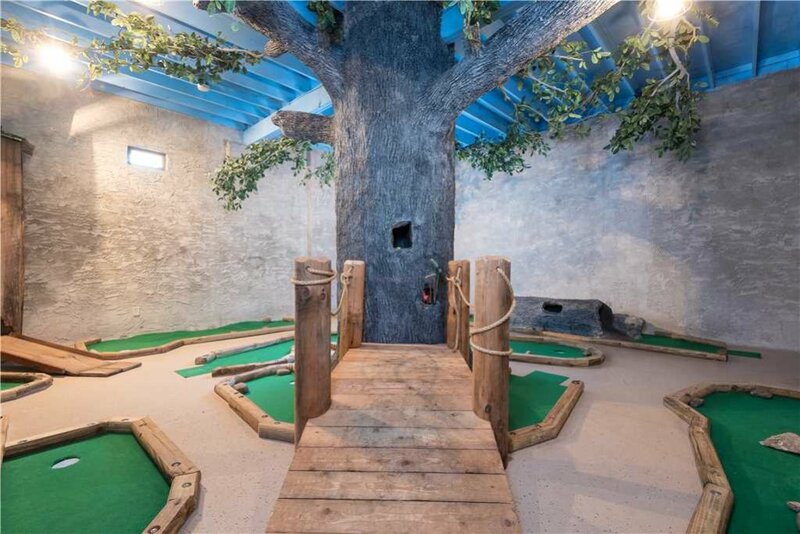 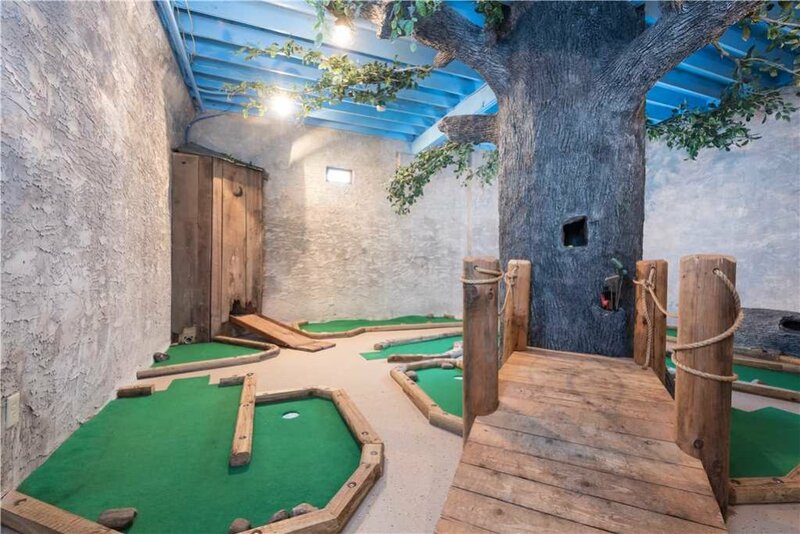 Head outside and down the stairs to the private putt-putt! 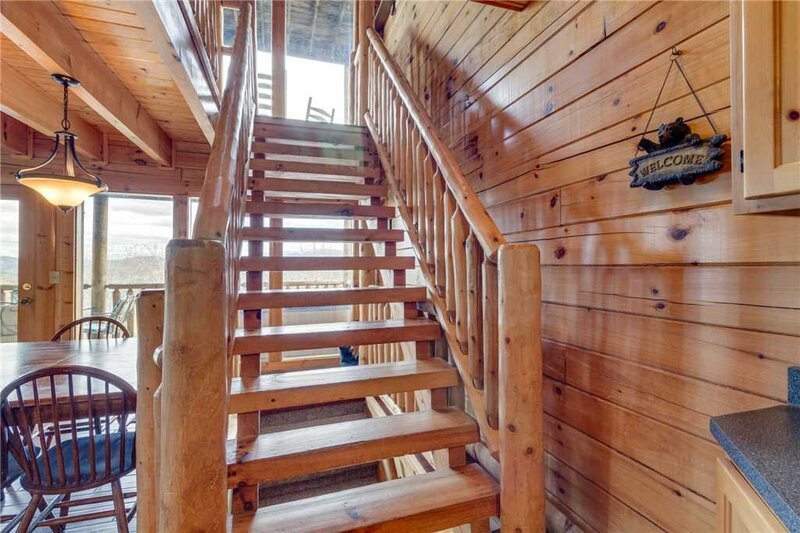 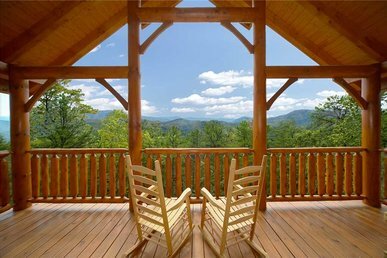 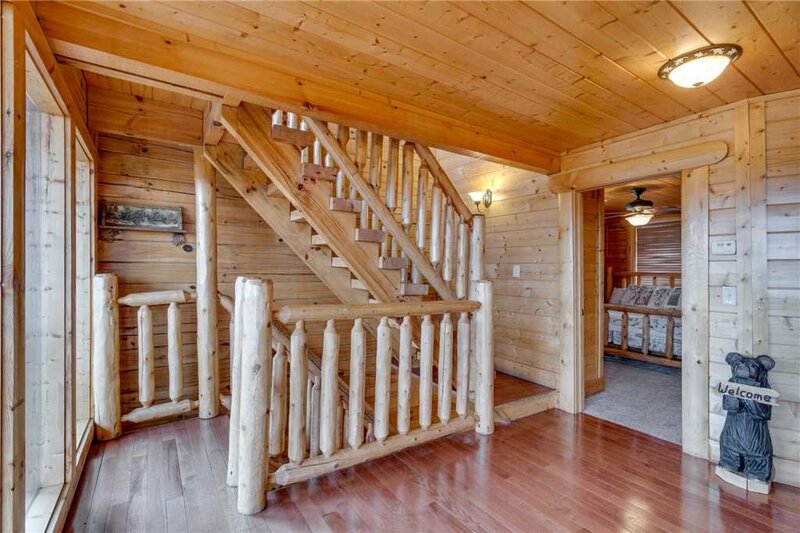 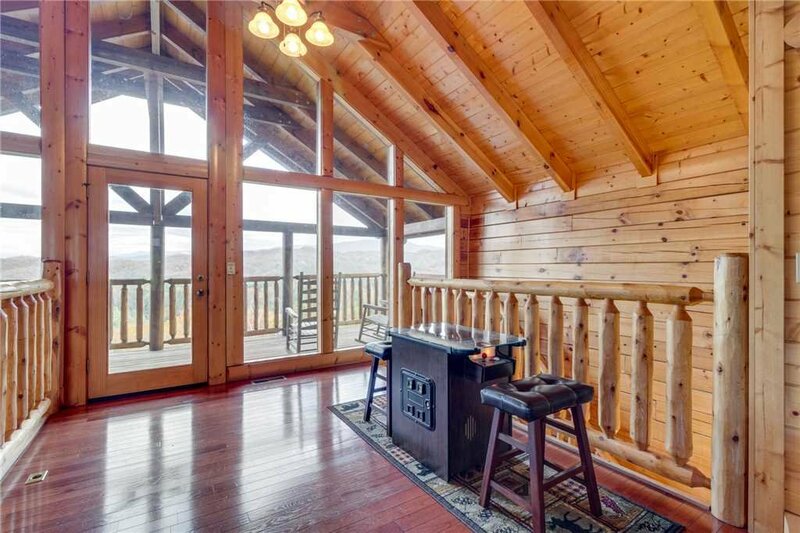 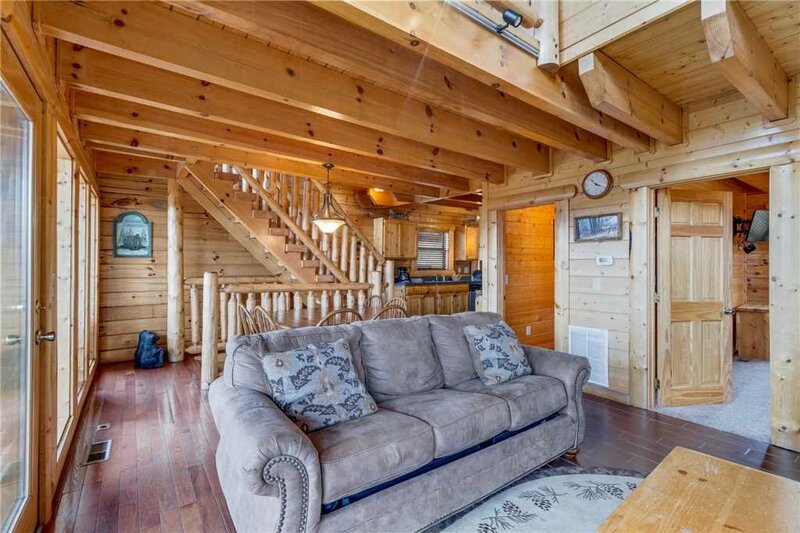 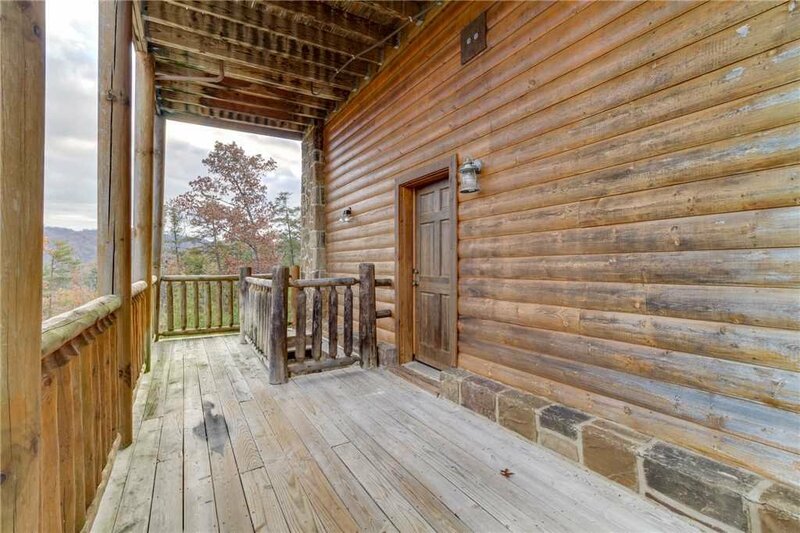 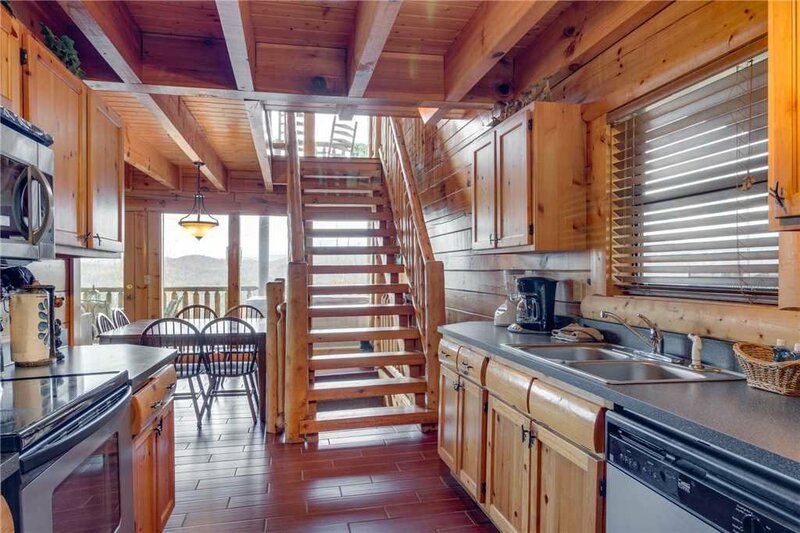 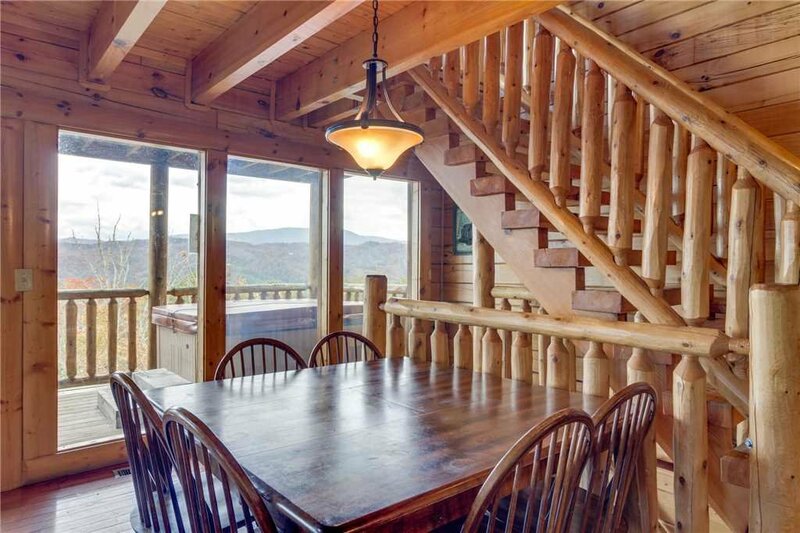 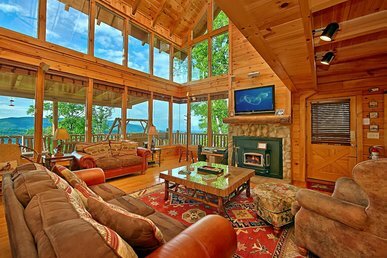 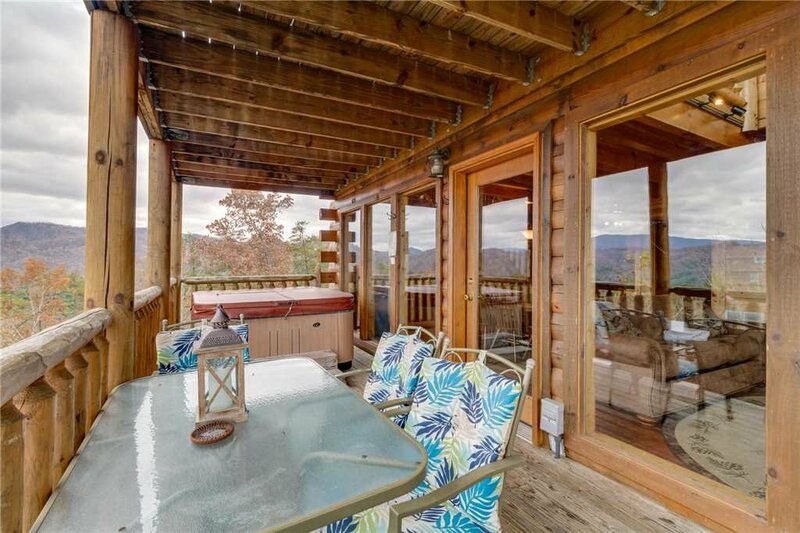 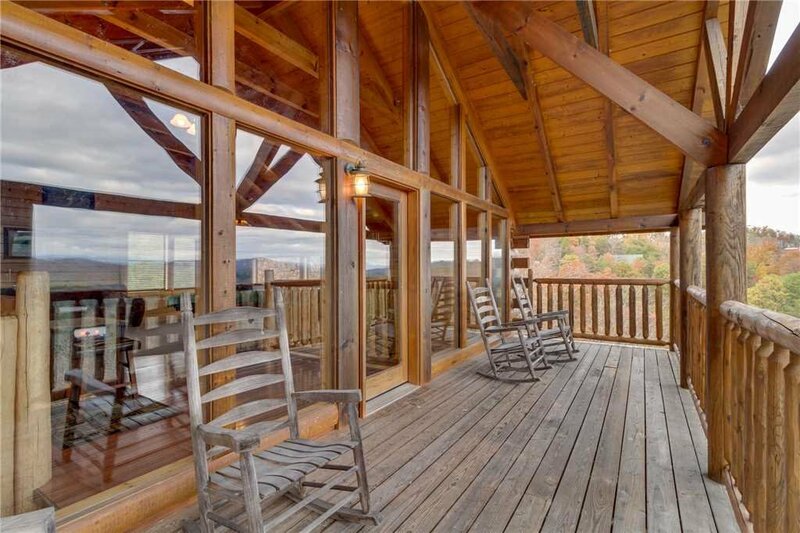 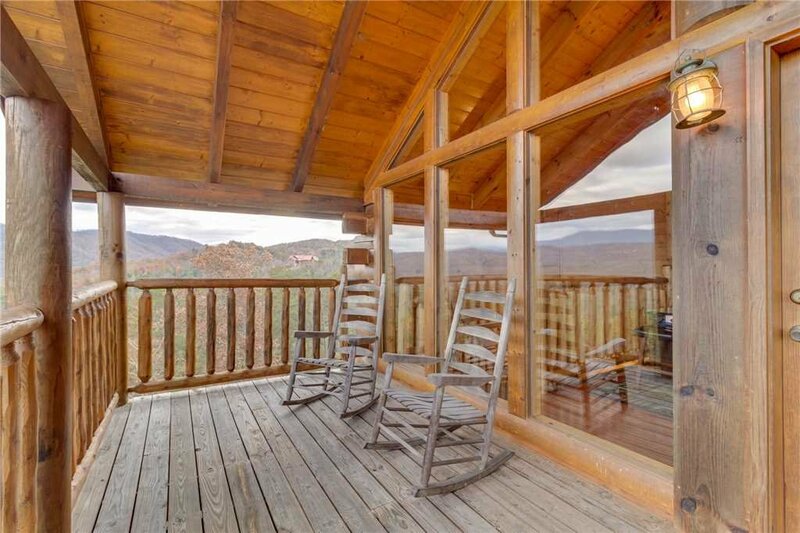 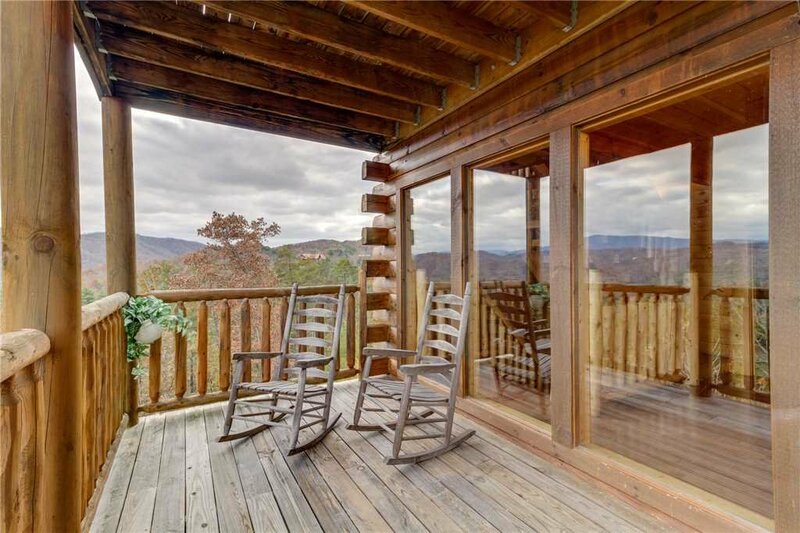 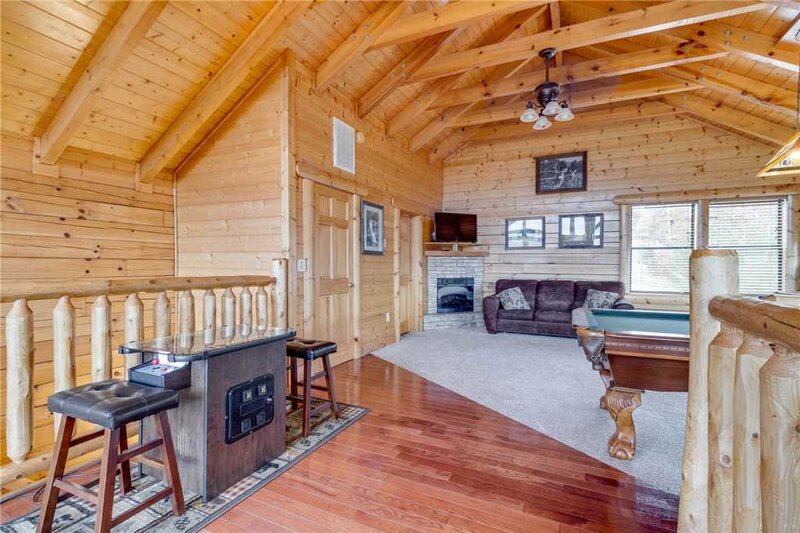 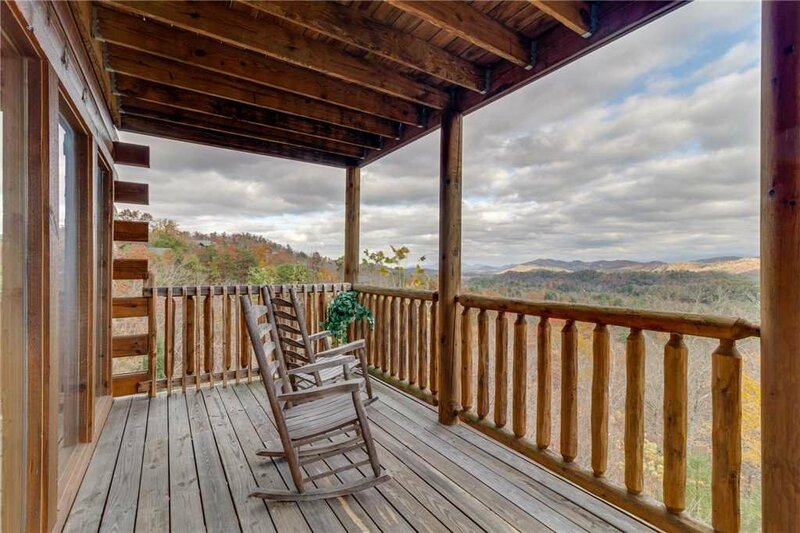 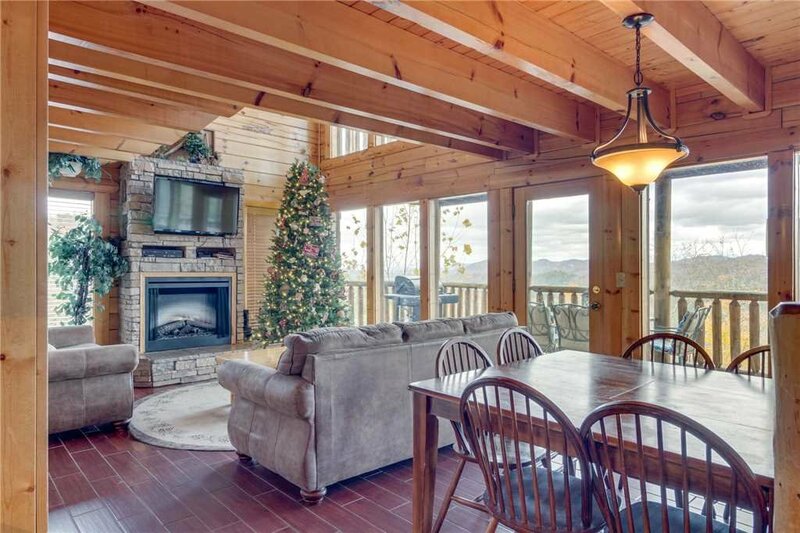 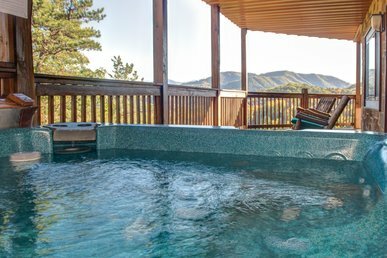 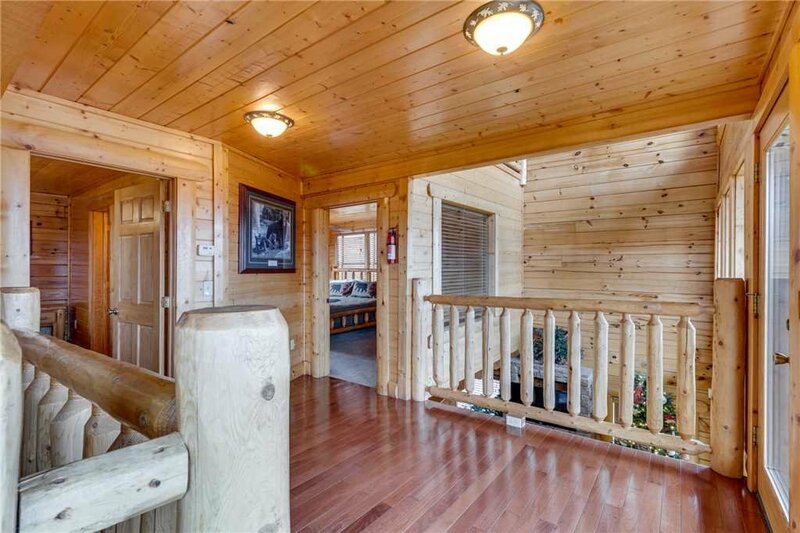 Relish the fresh mountain air from the 4 decks and peacefully sip your morning coffee while enjoying the rocking chairs. 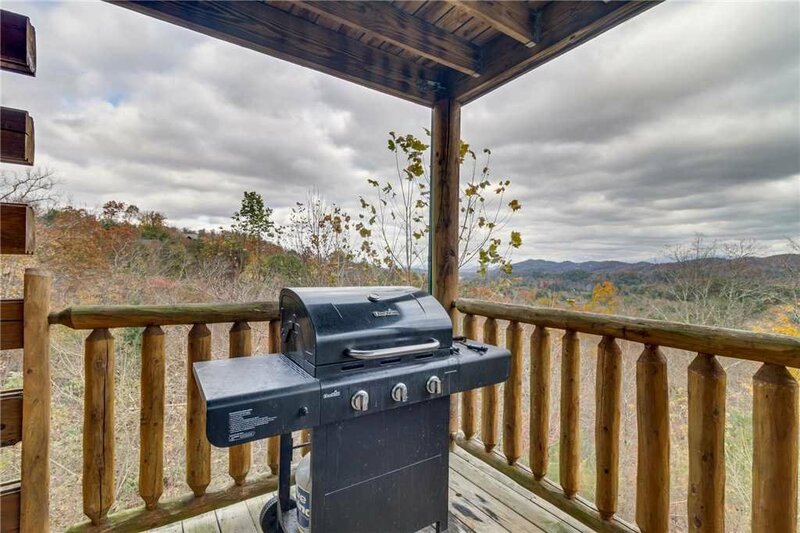 Cook up burgers using the charcoal grill before relaxing in the private hot tub while the fireflies glow. 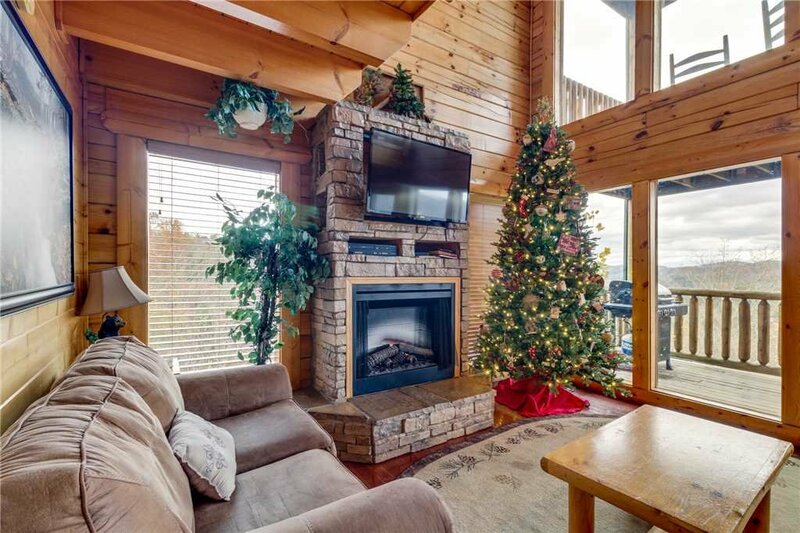 Stay connected to family and friends with private wireless internet. 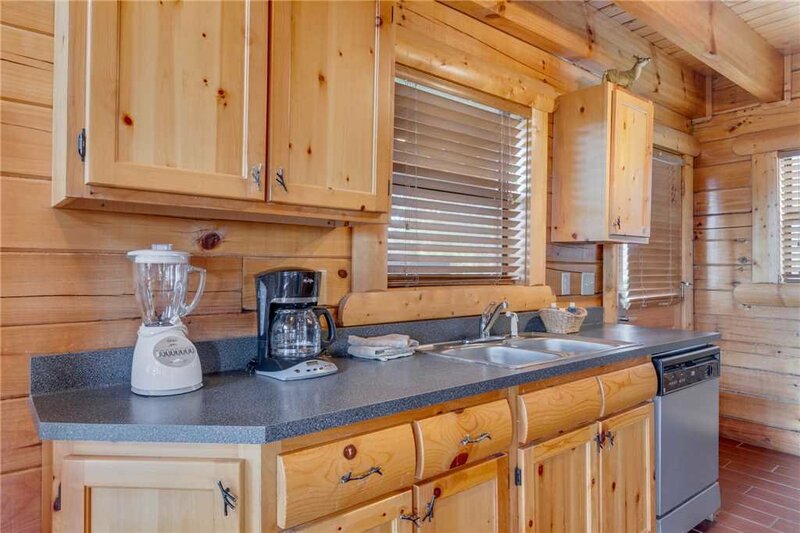 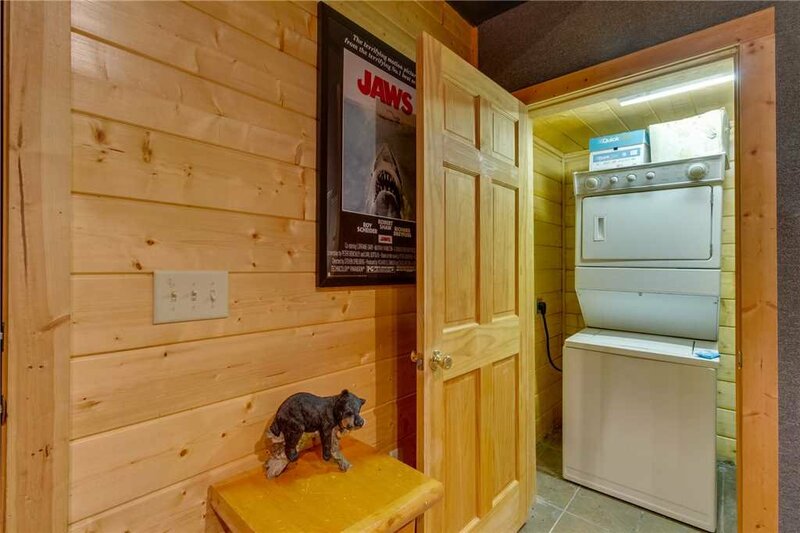 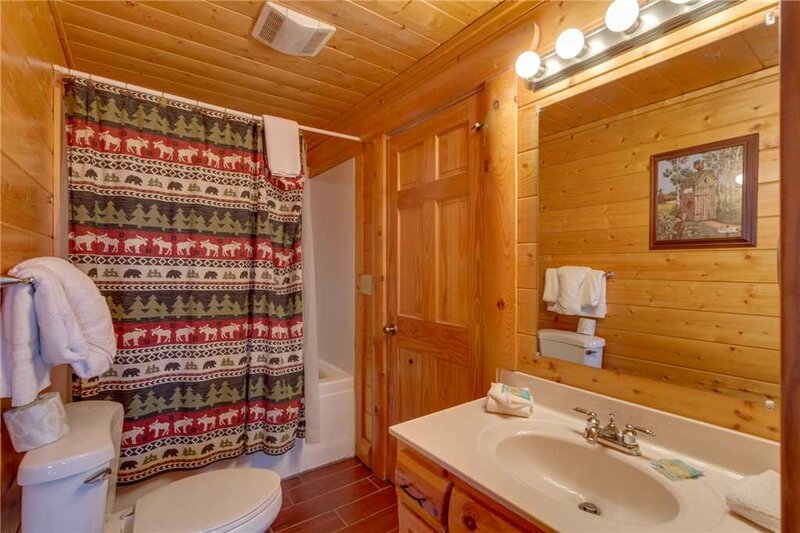 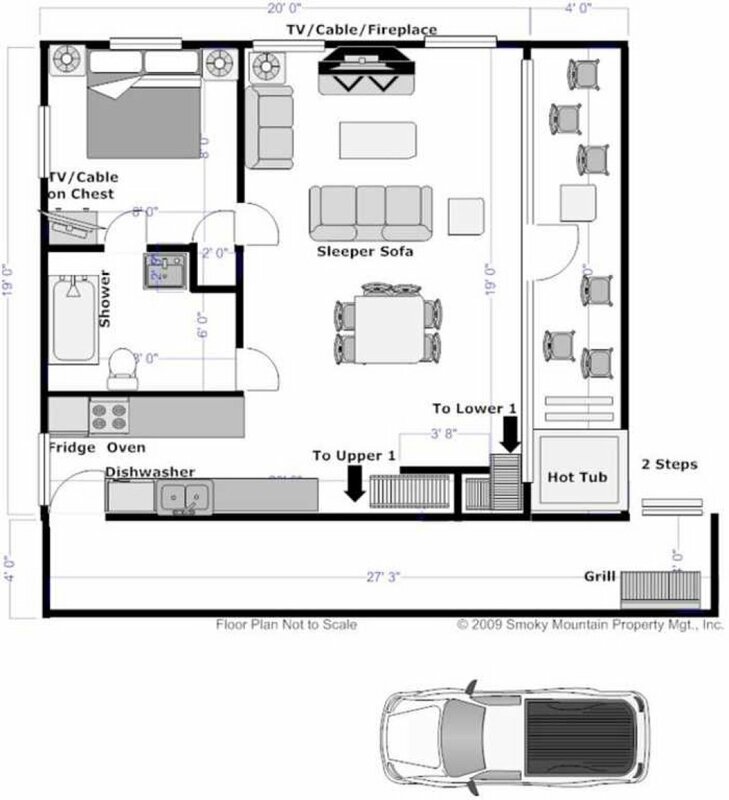 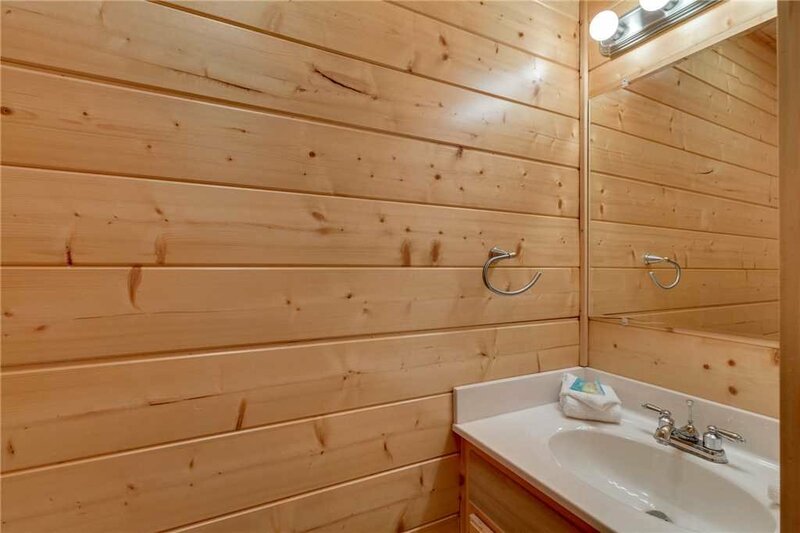 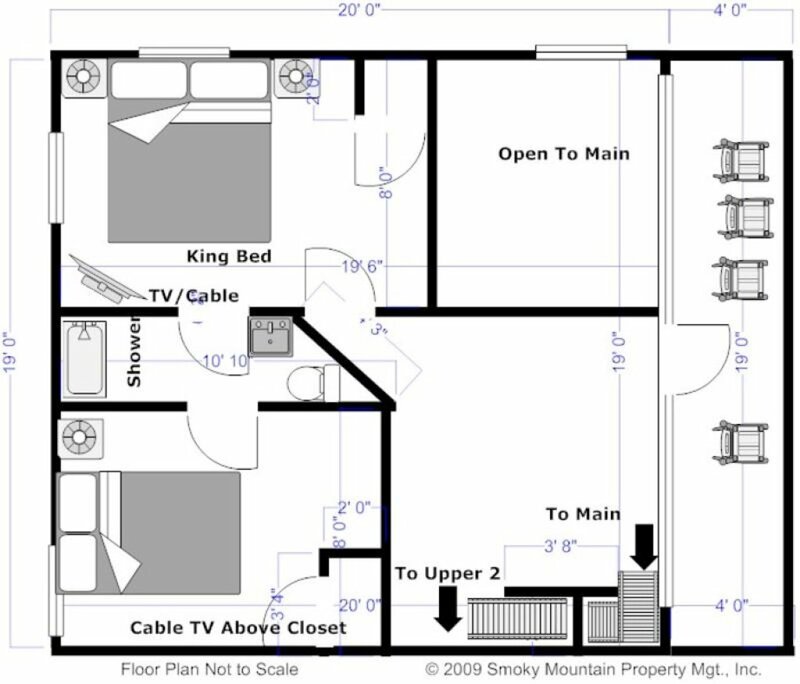 Other amenities include a washer and dryer, jetted bathtub and 5 HD Flat Screen televisions. 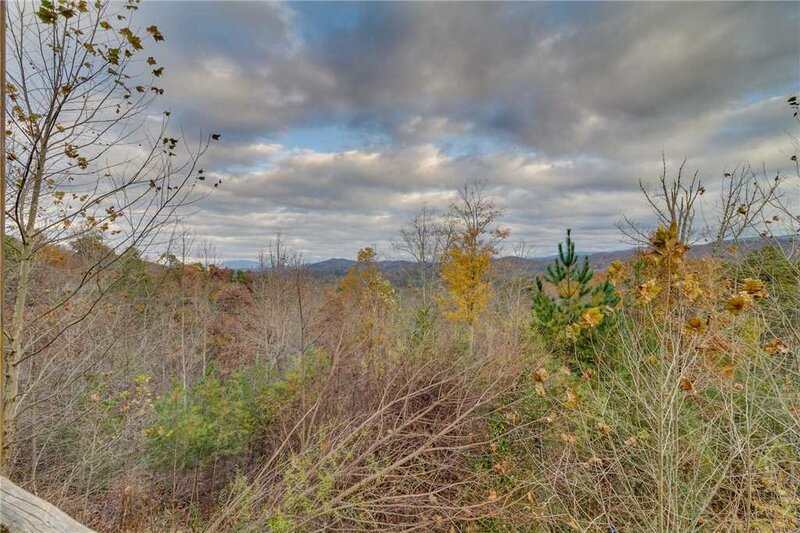 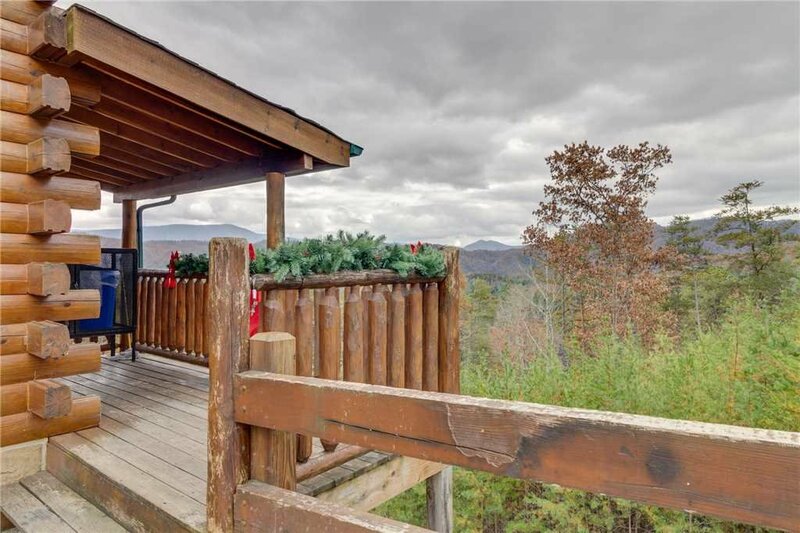 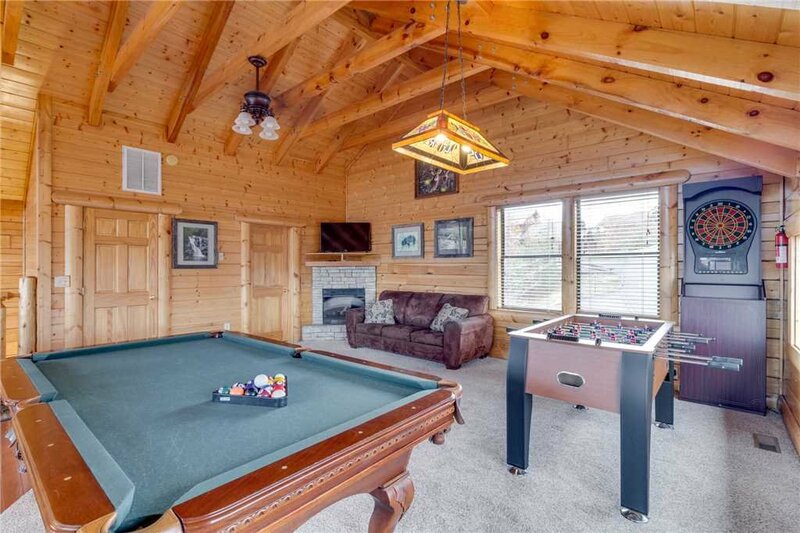 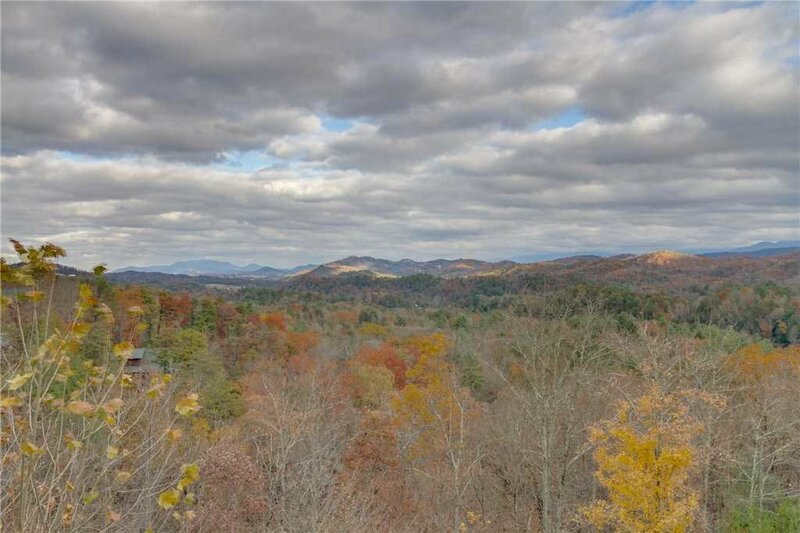 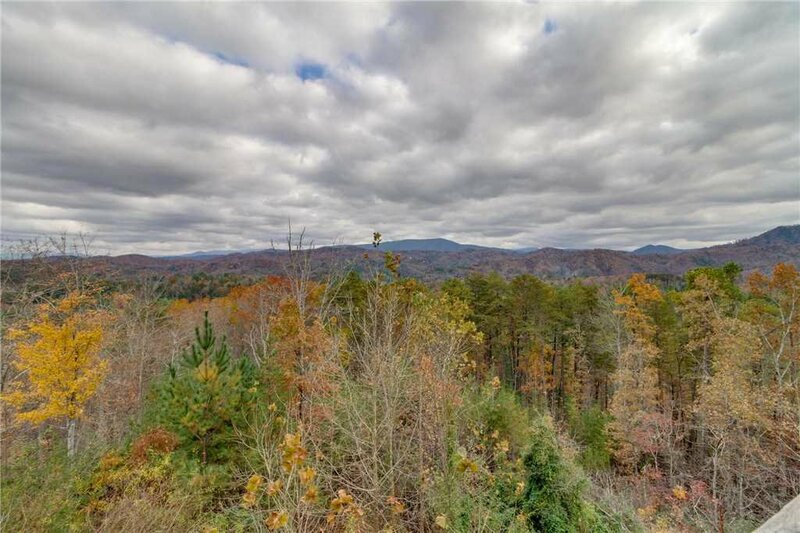 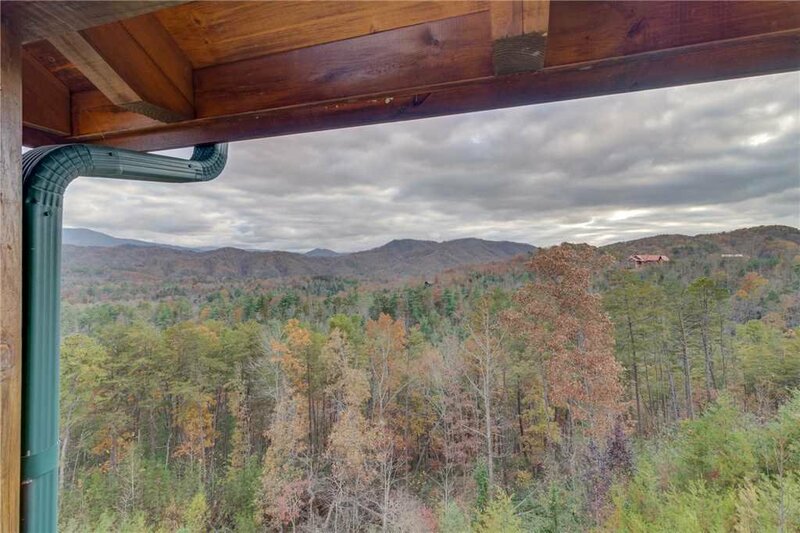 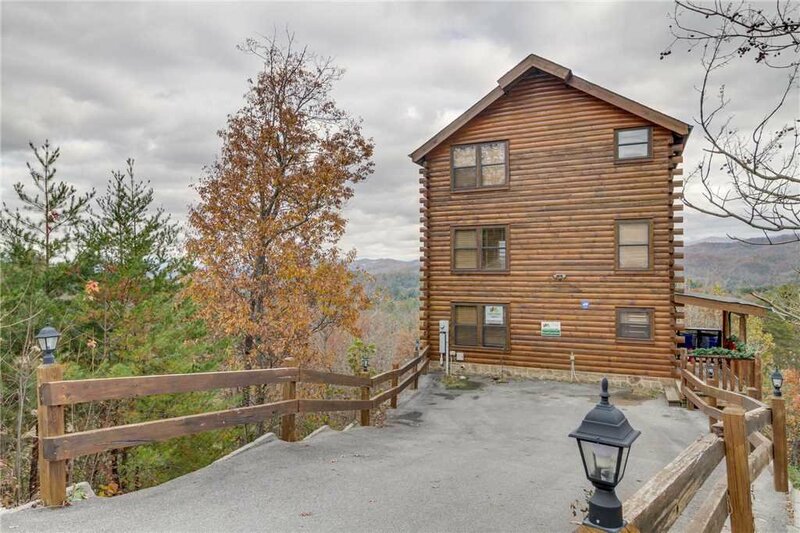 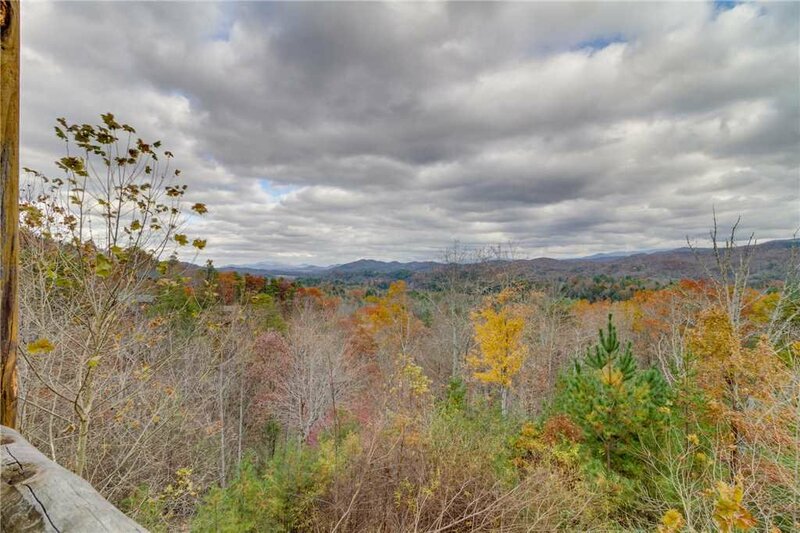 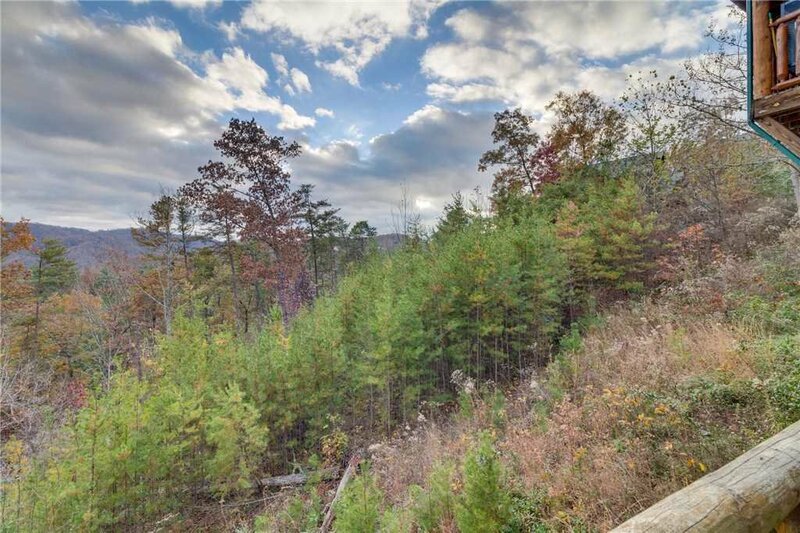 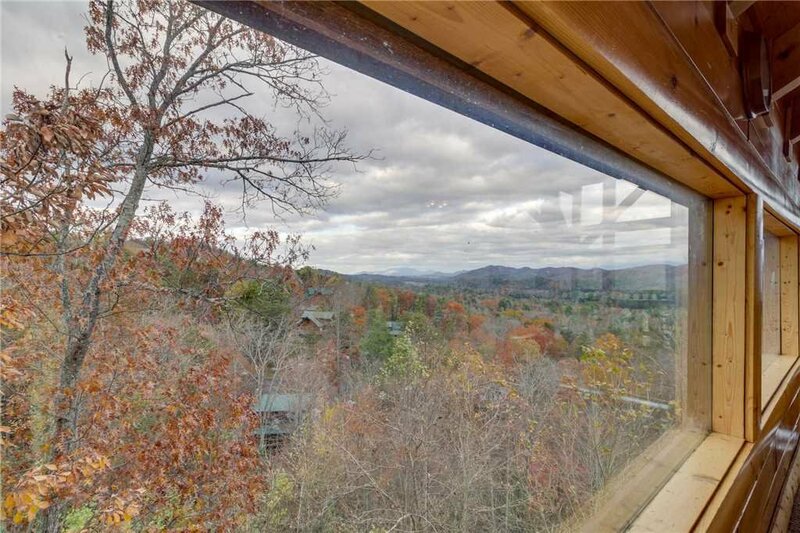 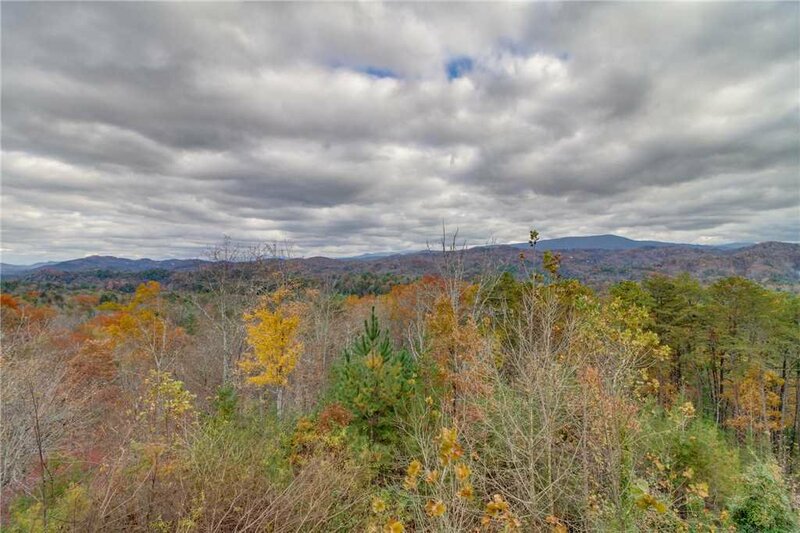 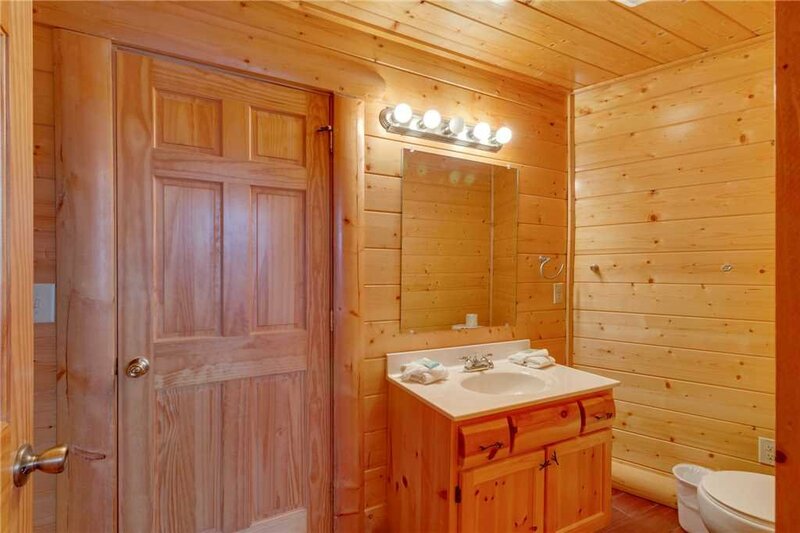 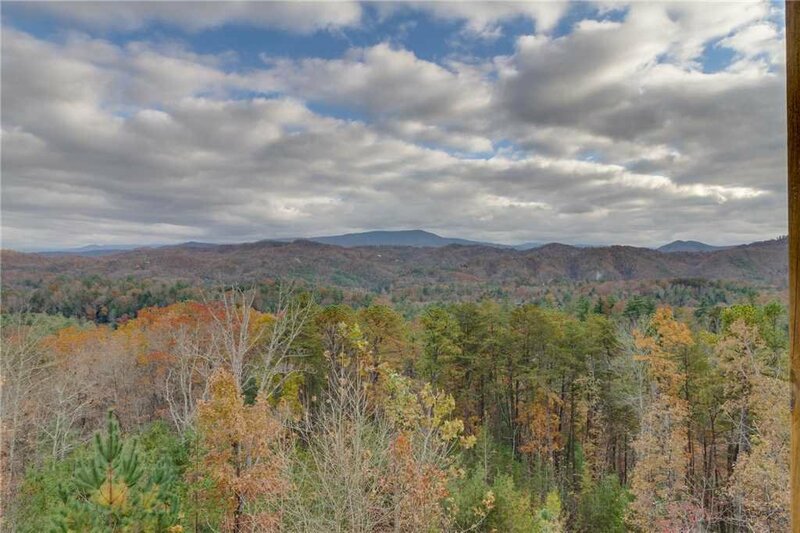 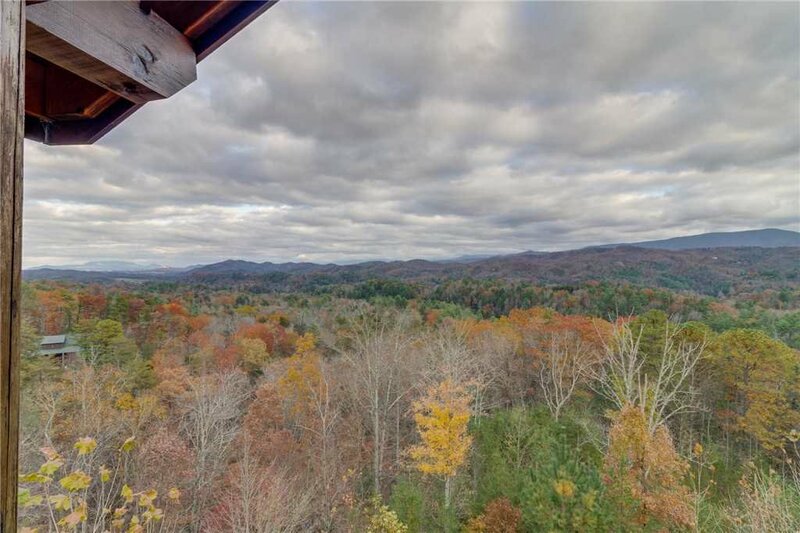 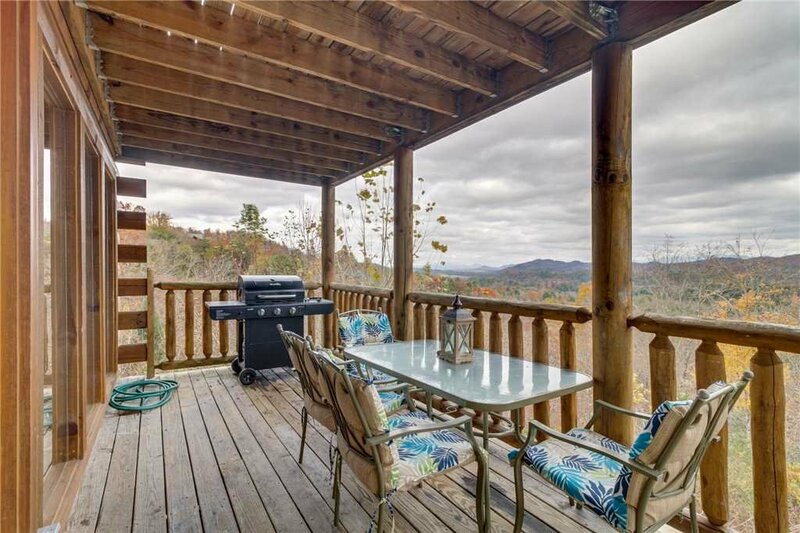 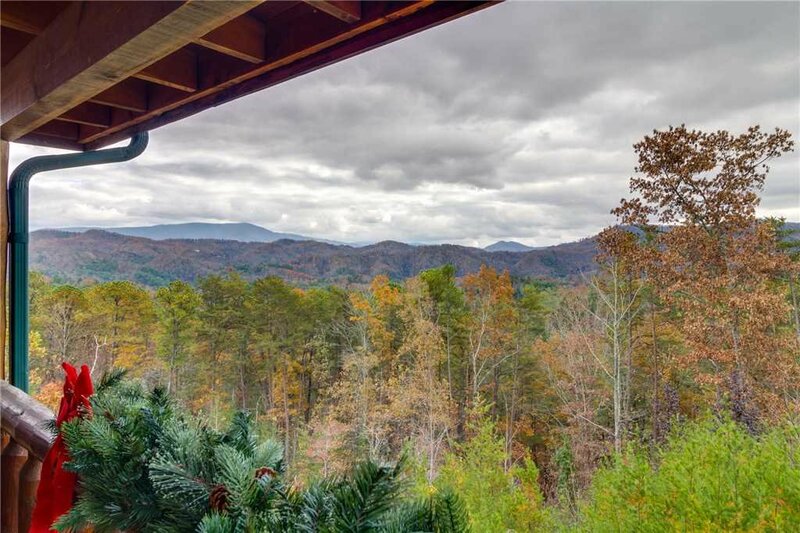 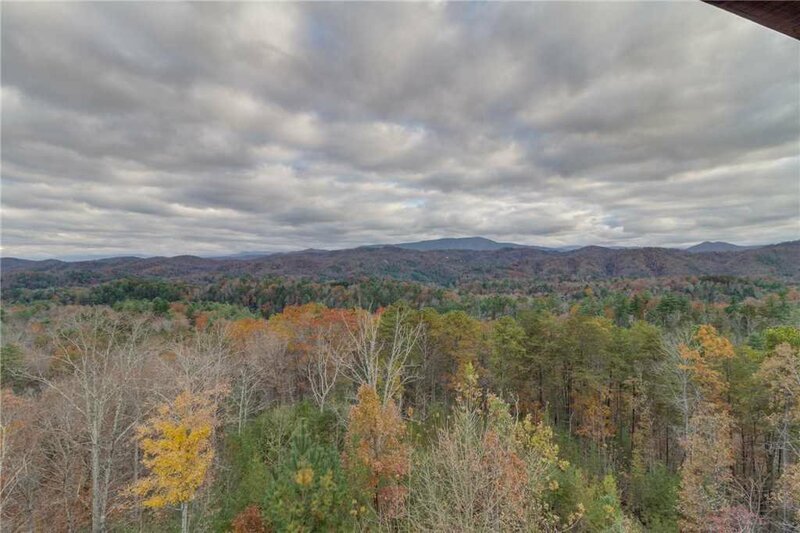 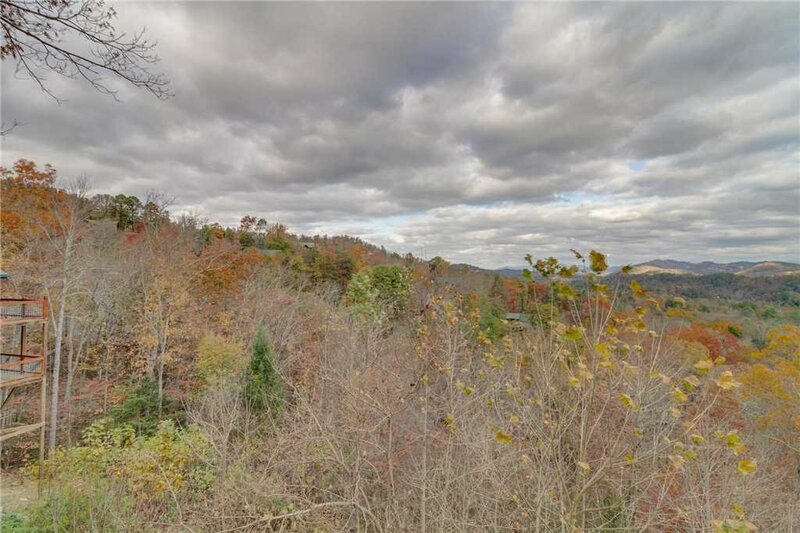 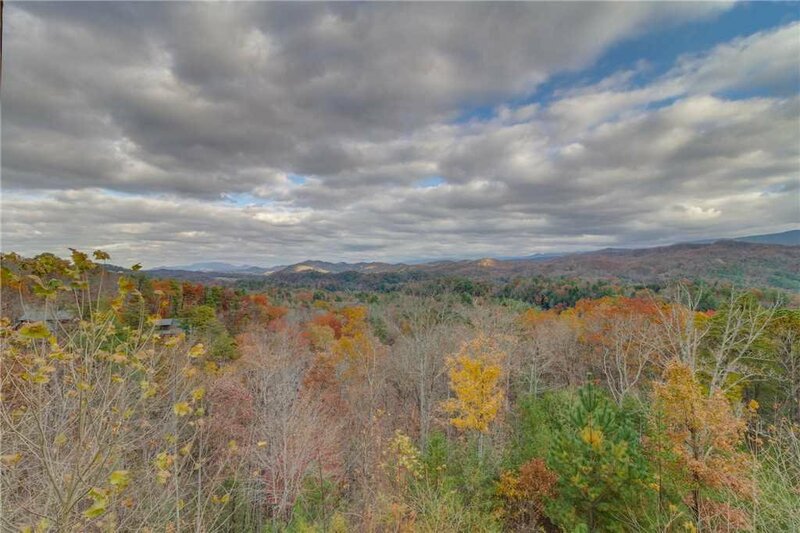 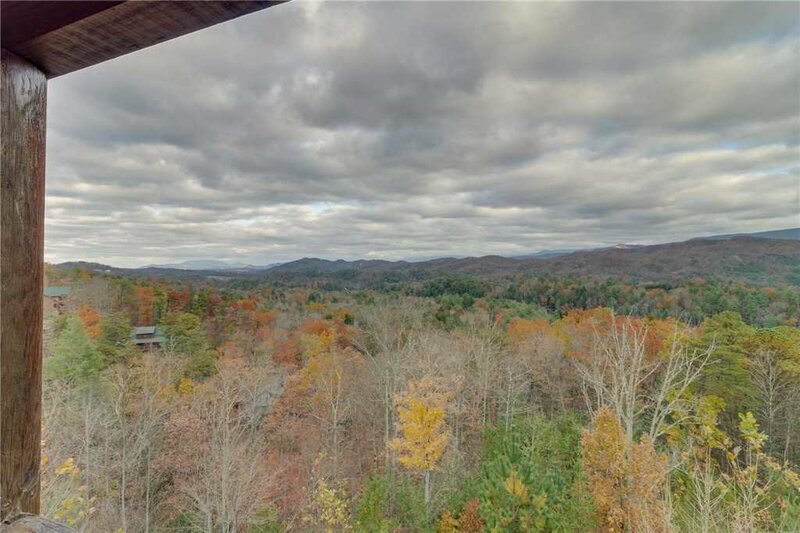 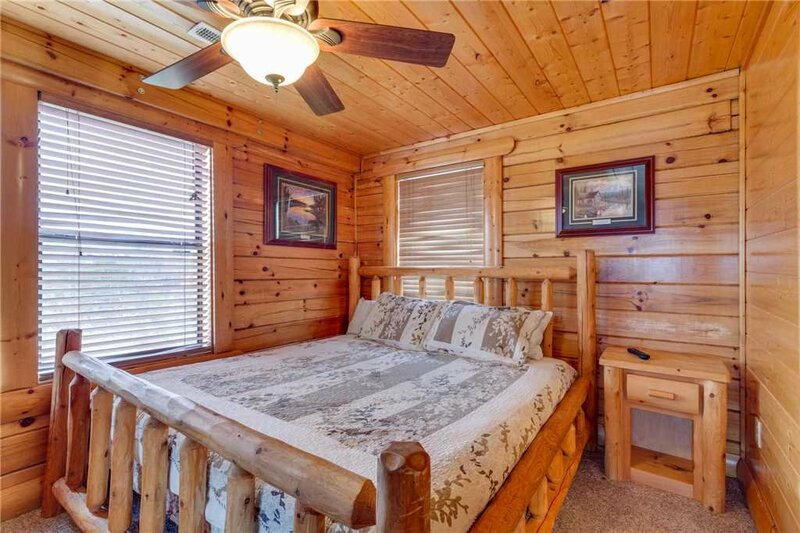 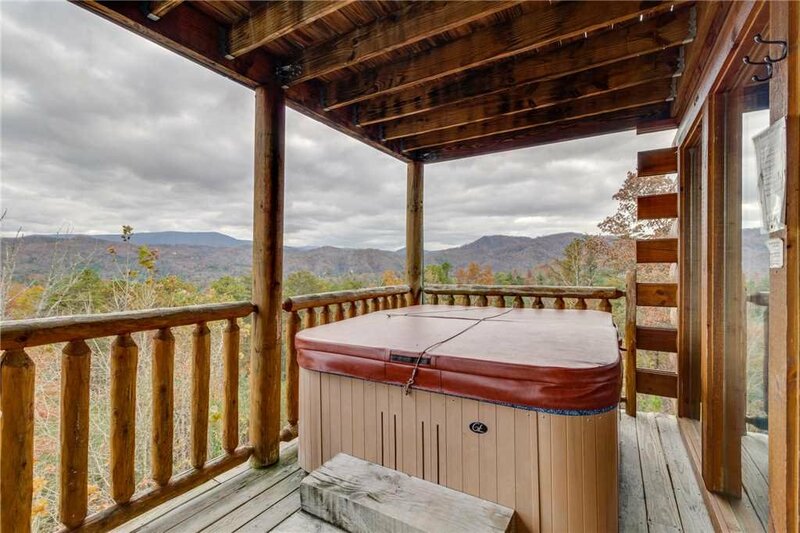 Beyond Expectations is an ideal location with serene mountain vistas just minutes away from the Pigeon Forge Parkway. 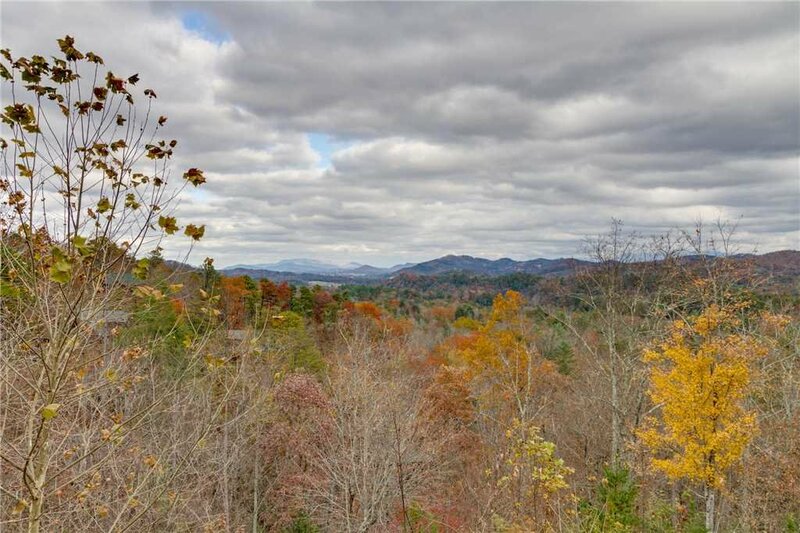 The rolling foothills of Wears Valley offer views during any season that leaves an eternal impression. 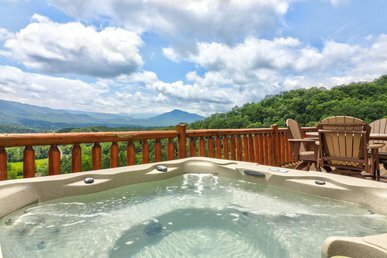 With all this and more, Beyond Expectations is really a hidden Smoky Mountain euphoria. 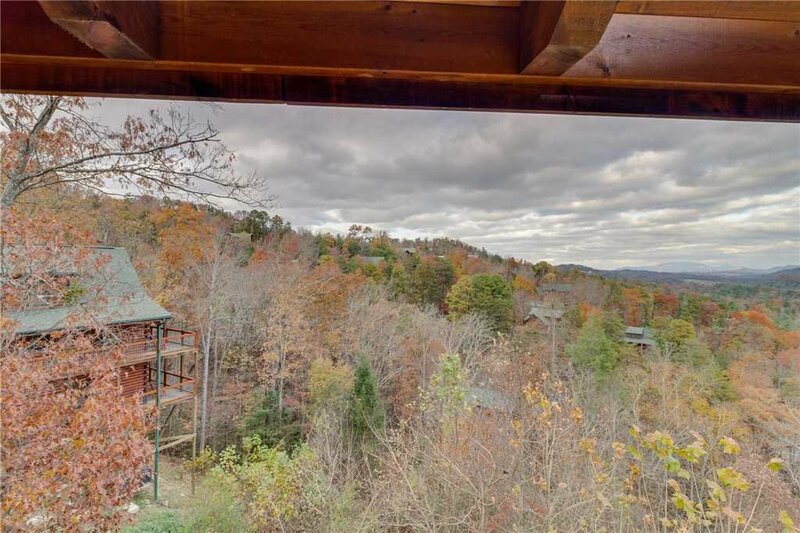 Just a stone’s throw away is Pigeon Forge and Sevierville from Beyond Expectations; visit WonderWorks, an indoor amusement park for the mind. 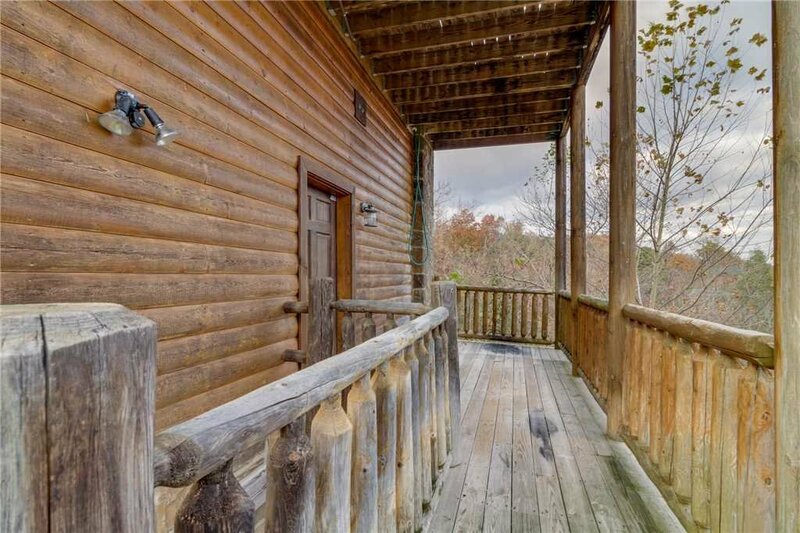 Dine at Huck Finn’s Catfish, with all you can eat catfish and chicken dinners. 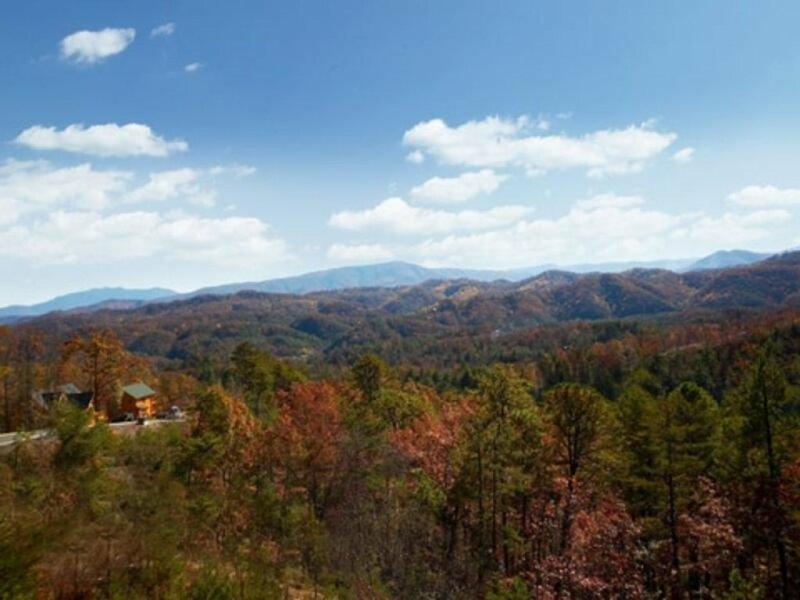 Spend a day at America’s favorite theme park Dollywood. 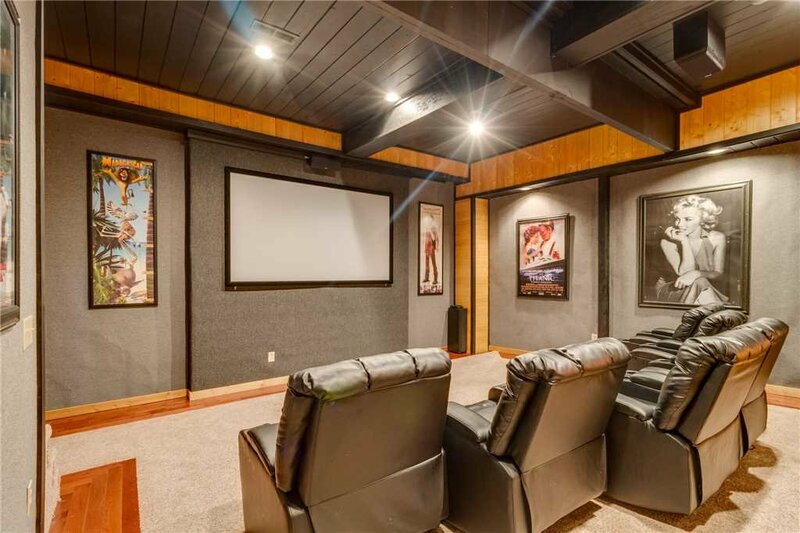 Catch one of the original shows at Grand Majestic Theater ranging from soul music to a magic show for all ages. 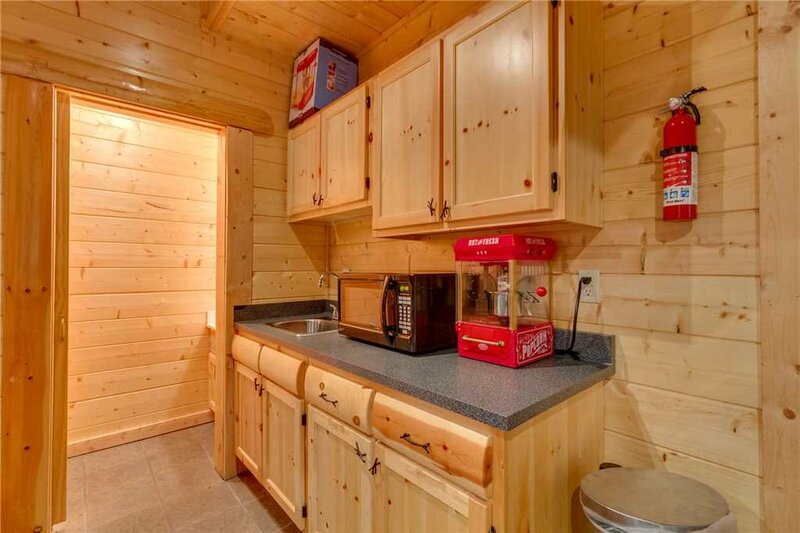 Shop for bargains at Tanger Outlets Center at Five Oaks and load up on discounted brand name goods. 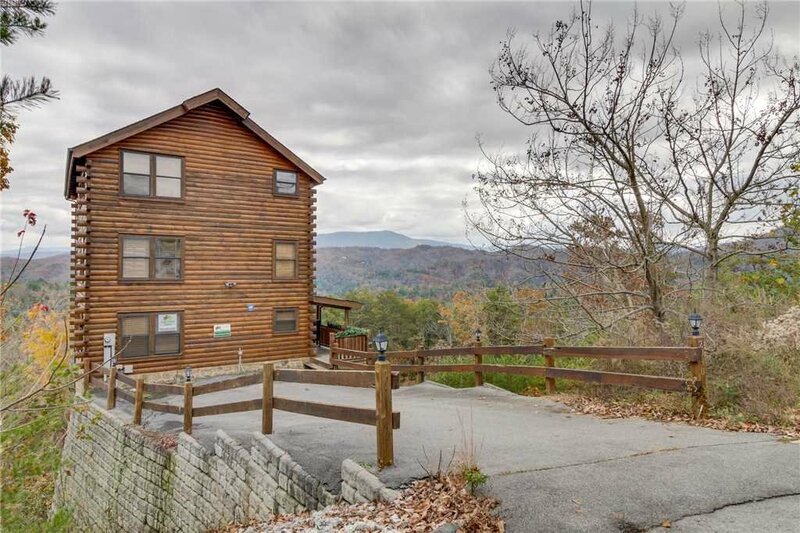 Ramble down the Parkway to the delightful town of Gatlinburg to visit the largest arts and crafts community along the Great Smoky Arts and Crafts trail on Glades Road, just a few miles off the Parkway. 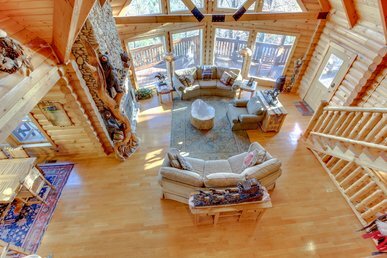 Watch as artisans make hand-crafted goods with traditions handed down for generations. 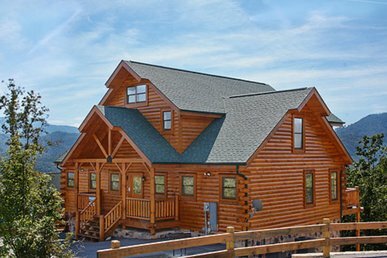 Ripley’s Aquarium of the Smokies, Guinness Book of World Records and Ober Gatlinburg offer loads of family fun entertainment. 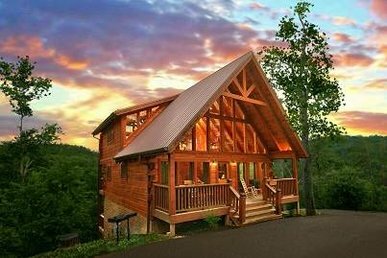 Fuel up with lunch from TGI Fridays before meandering along the Parkway to Ole Smoky Moonshine Distillery to sample the flavorful moonshine. 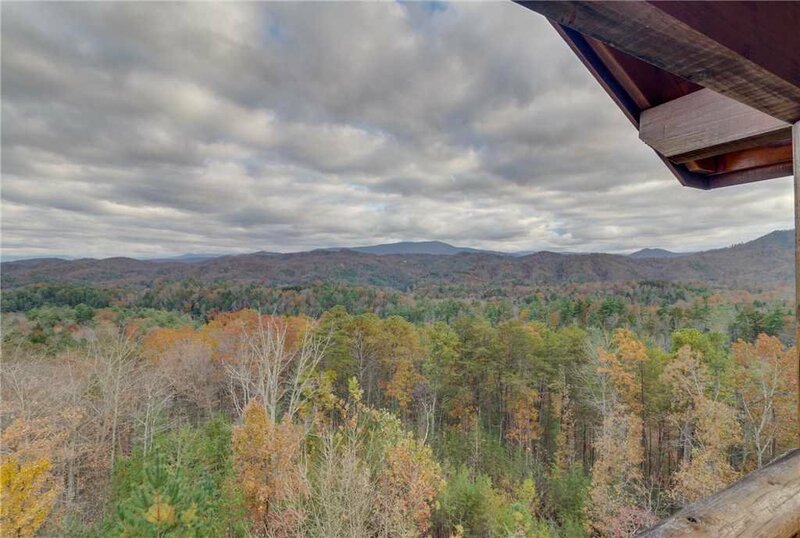 With the Great Smoky Mountains as the backdrop to your vacation, your choices for adventure are endless. 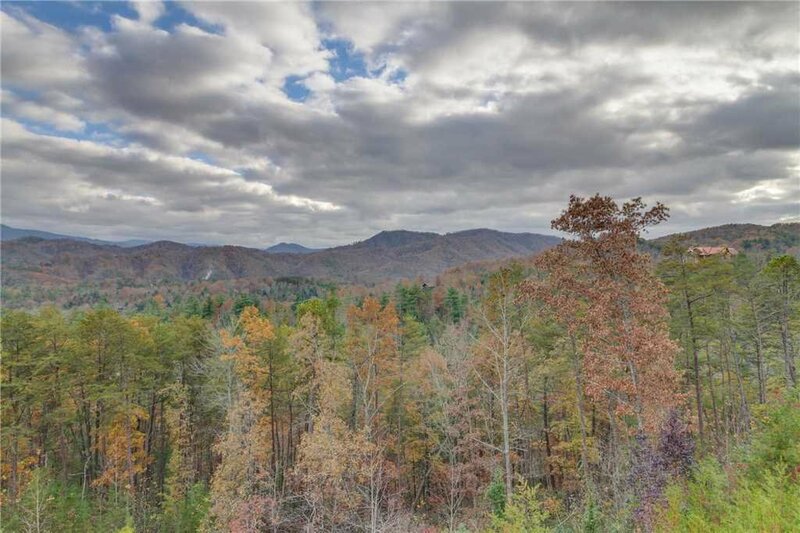 Set out to explore the wilds around on one of the many trails throughout the Great Smoky Mountain National Park, offering just over 800 miles of hiking trails. 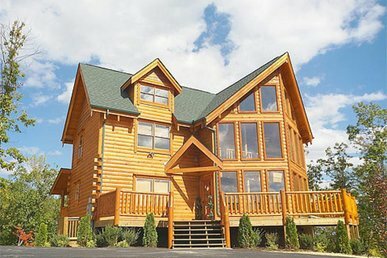 Set out to find waterfalls, wildlife and old growth forests in every direction. 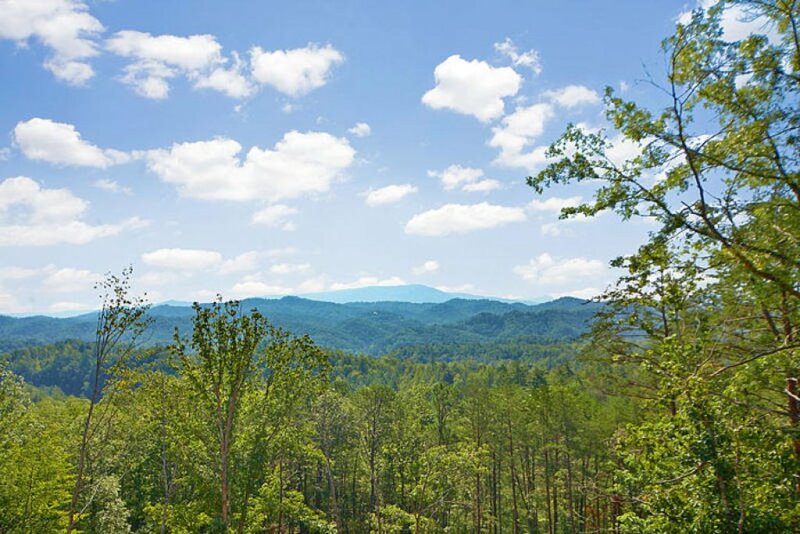 Whether exploring from the skies with zip lining or down the rivers tubing or whitewater rafting the Smokies have something for everyone to enjoy.